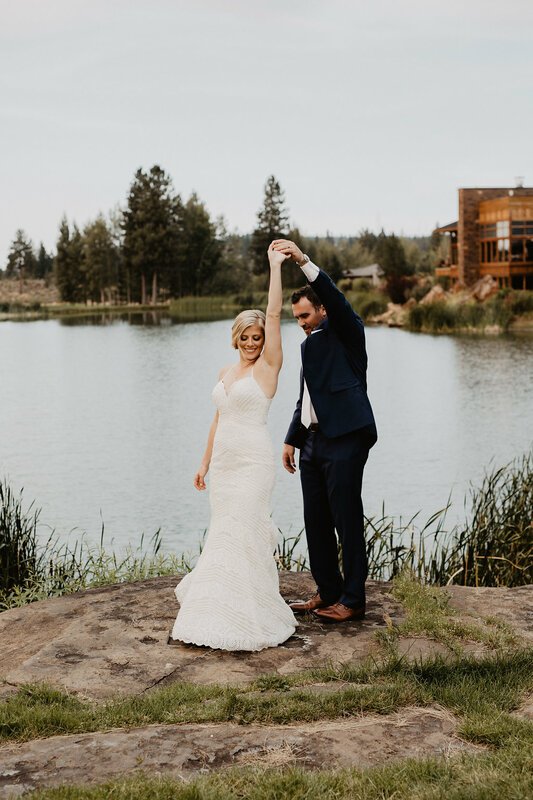 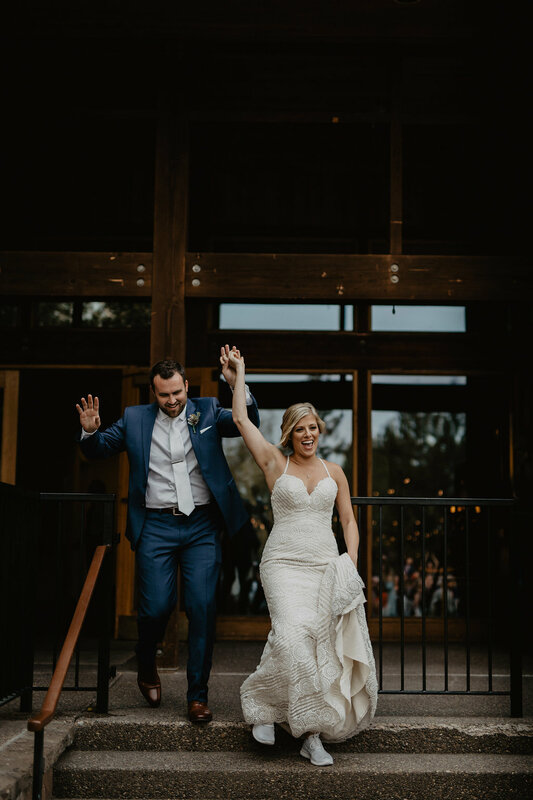 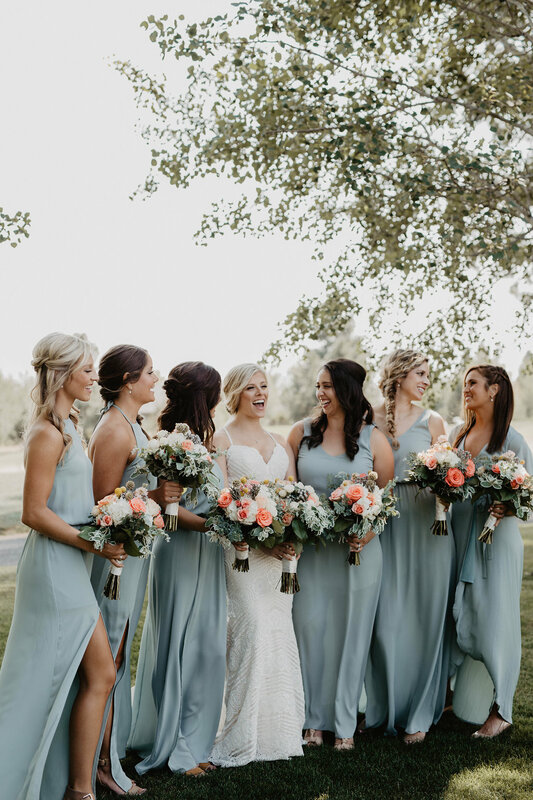 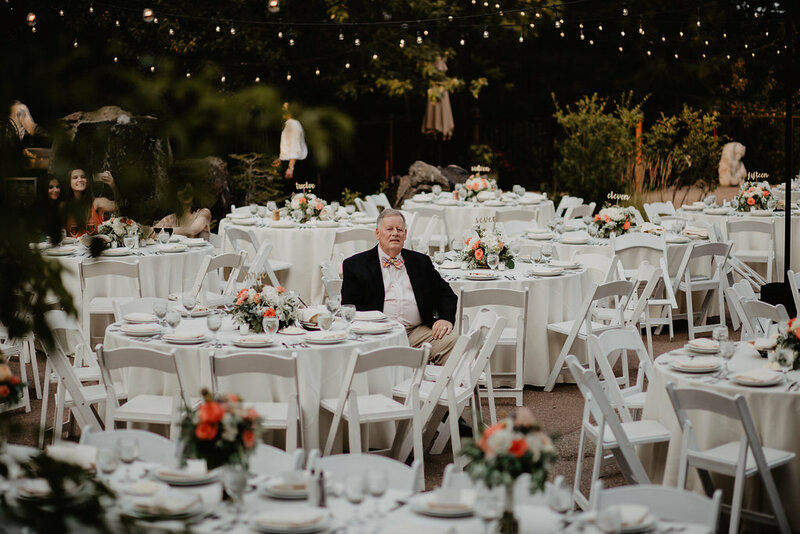 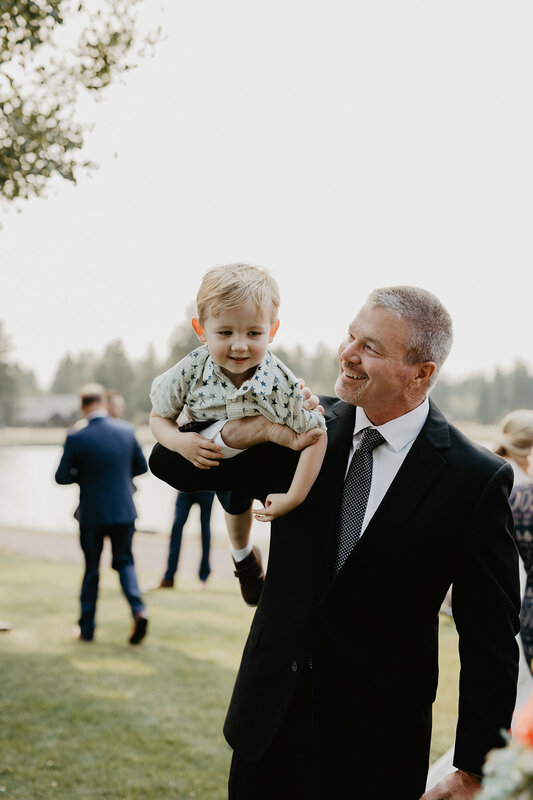 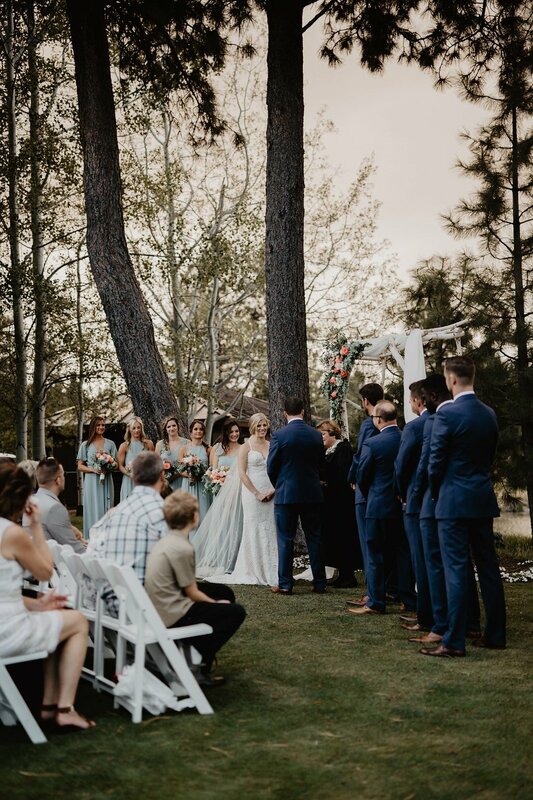 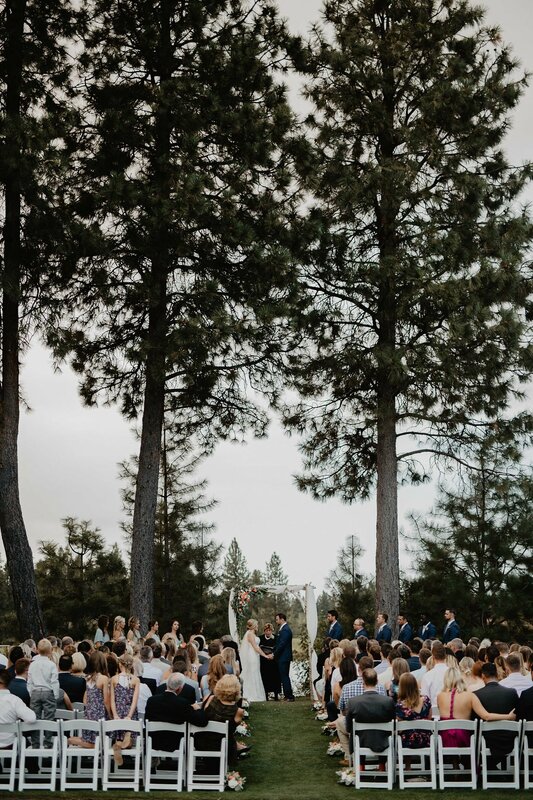 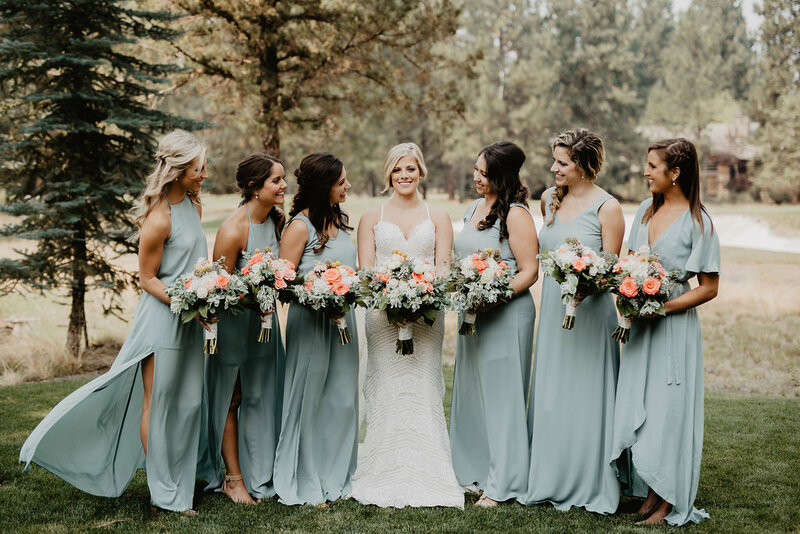 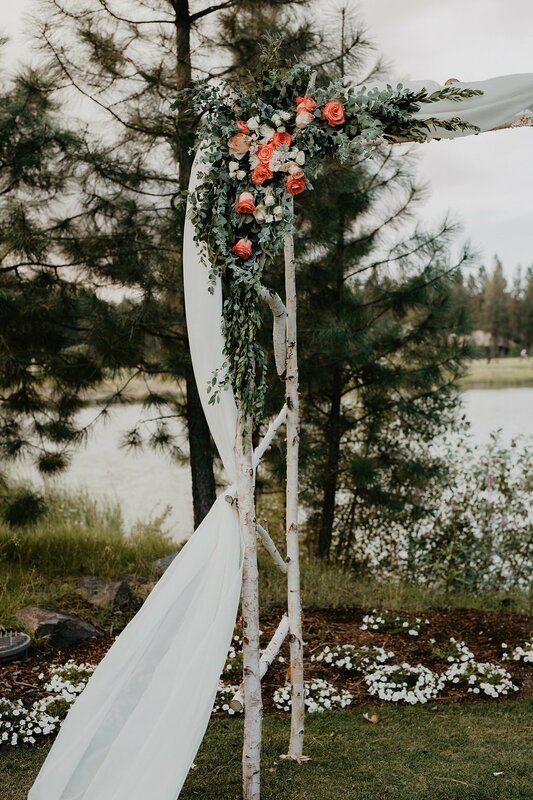 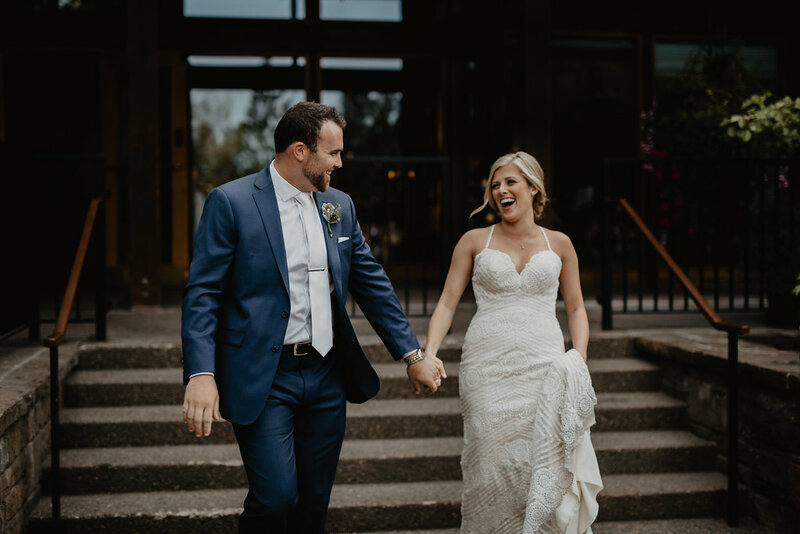 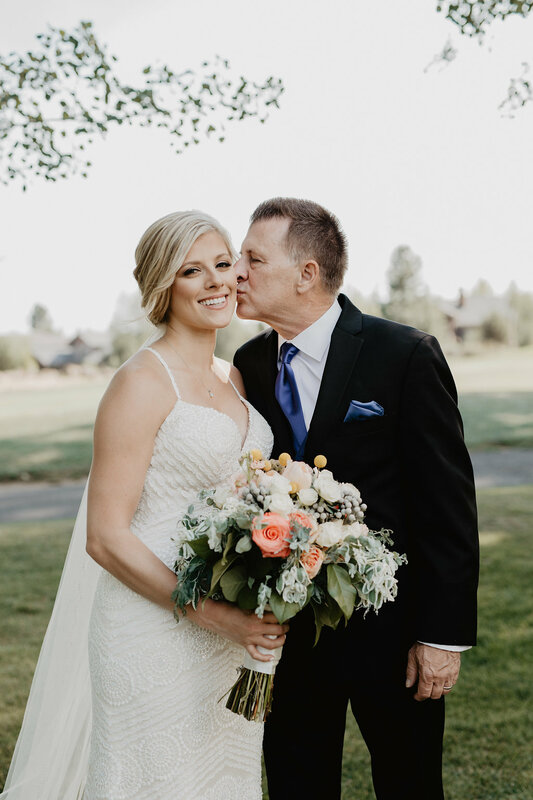 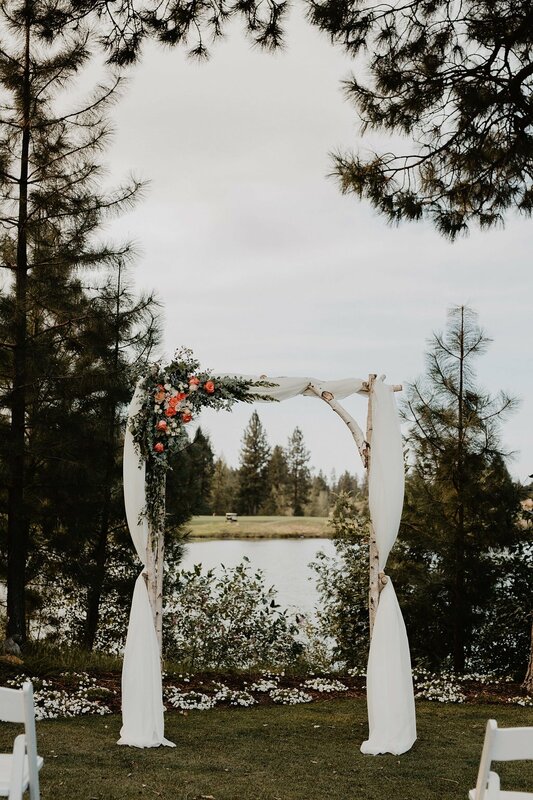 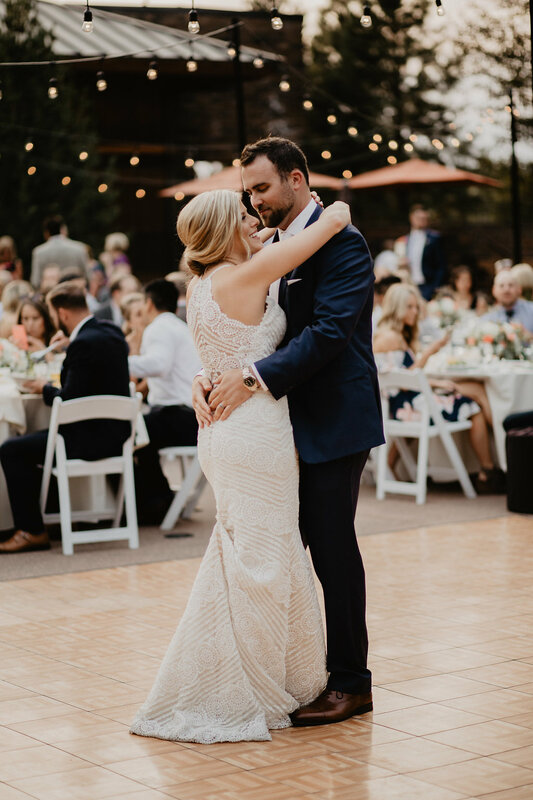 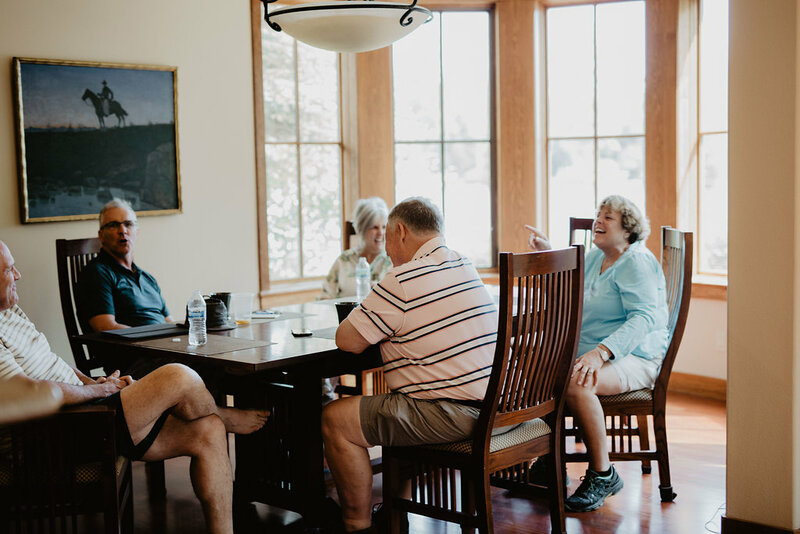 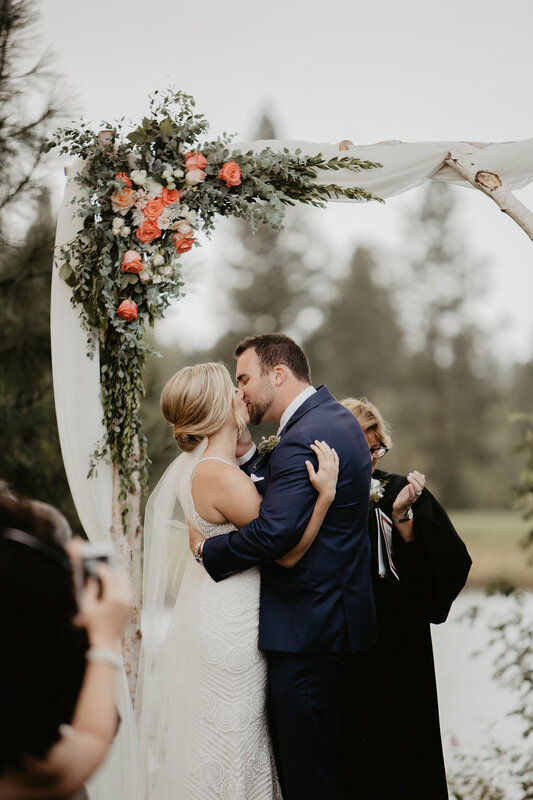 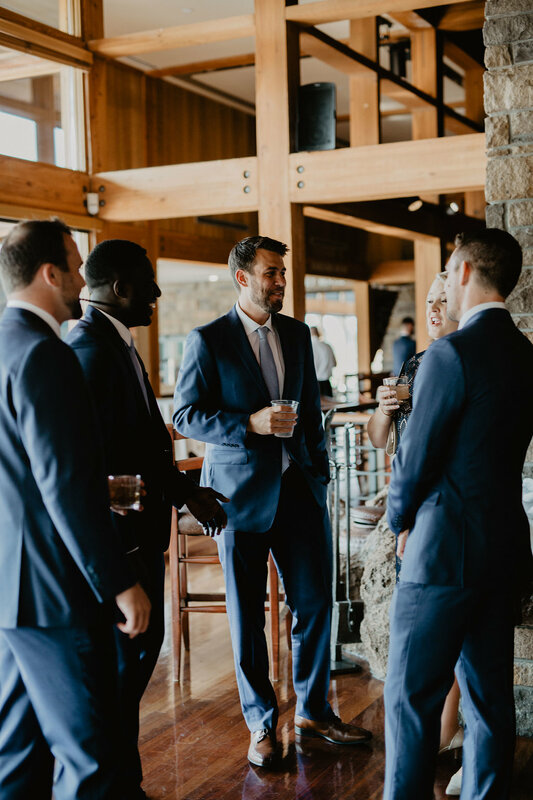 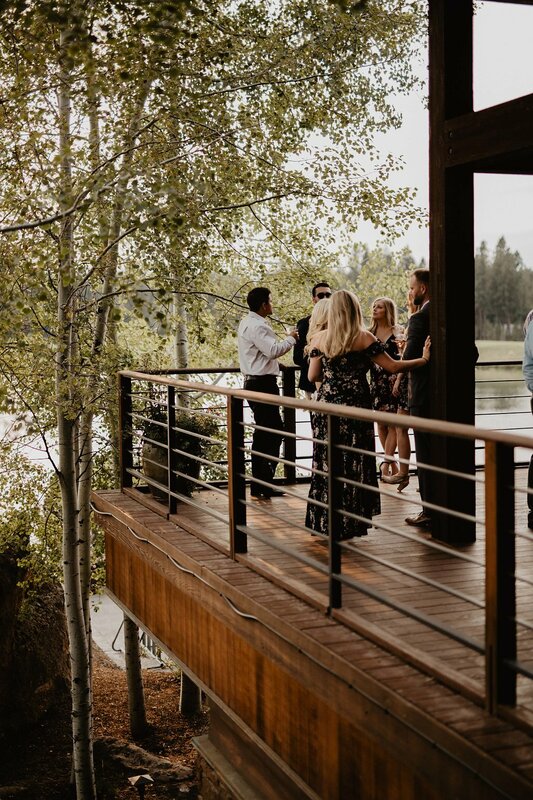 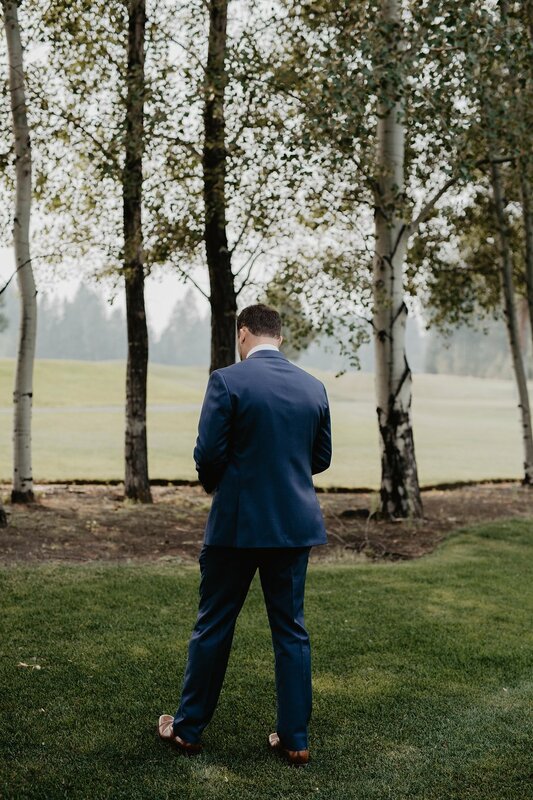 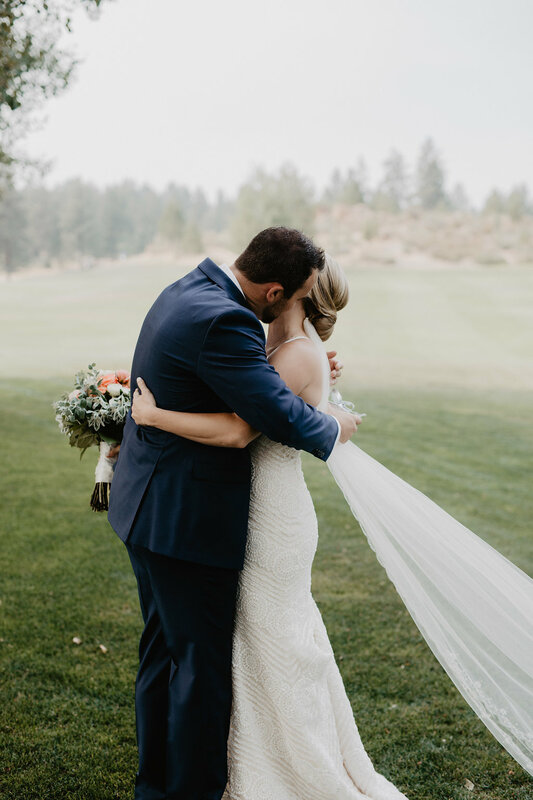 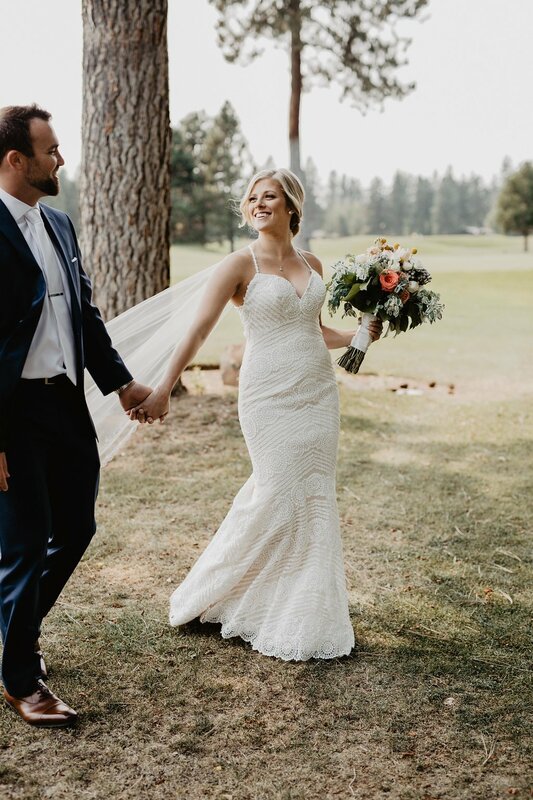 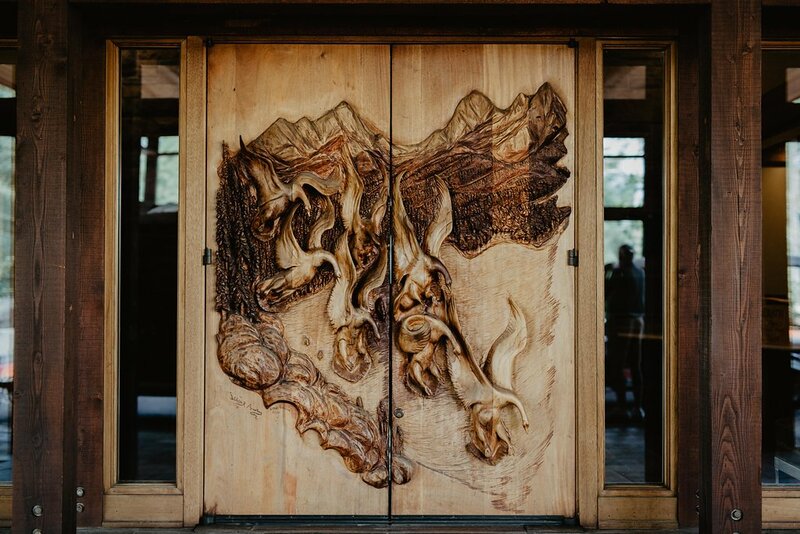 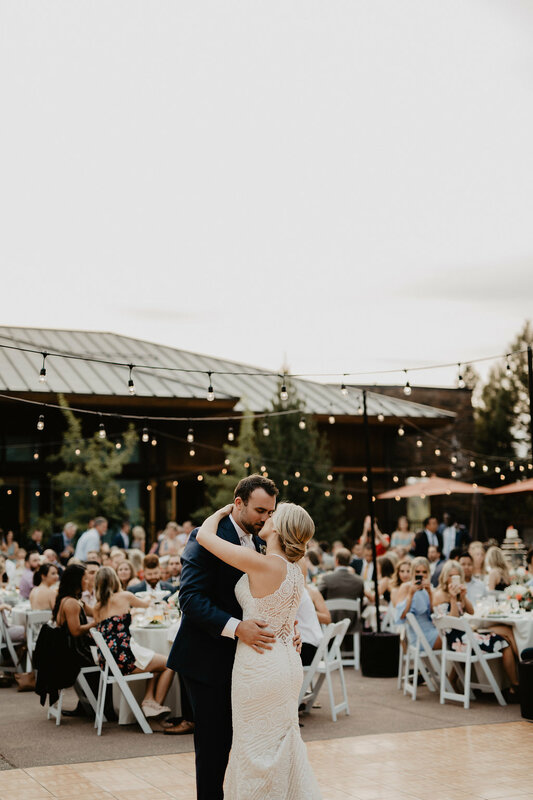 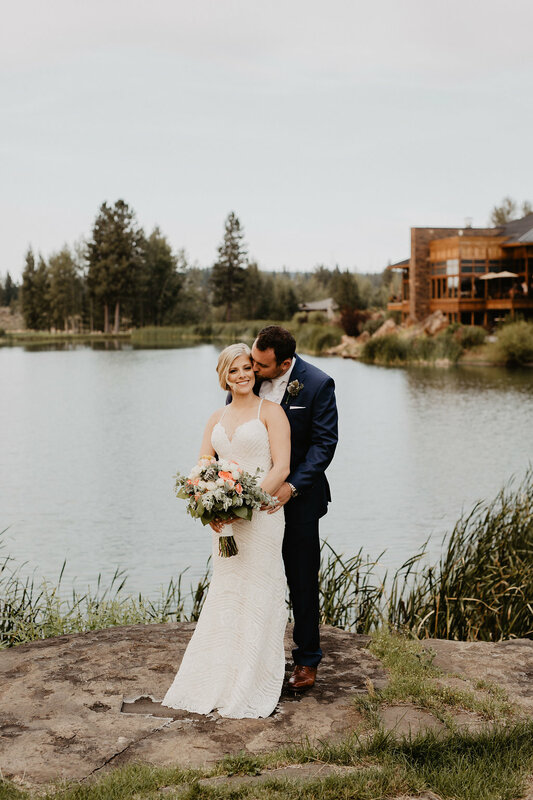 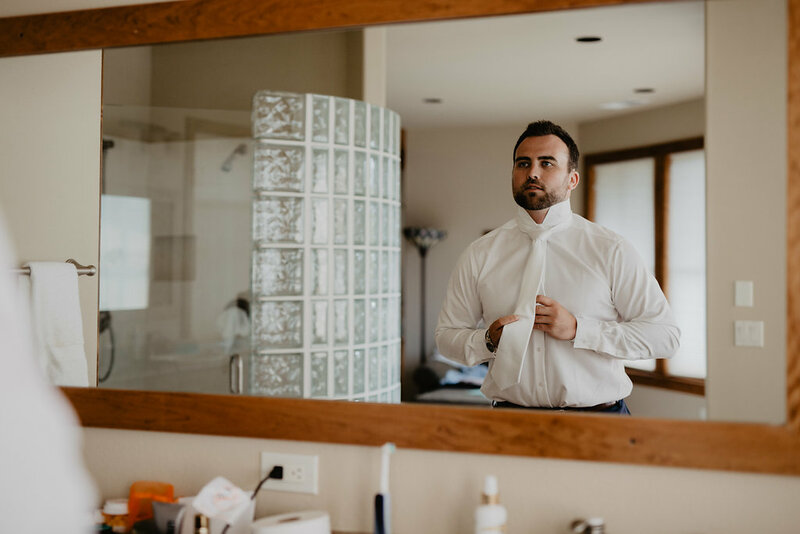 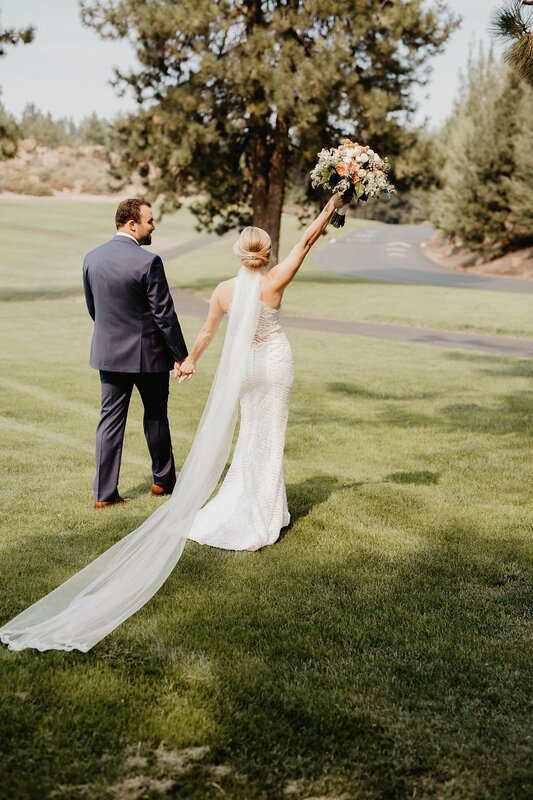 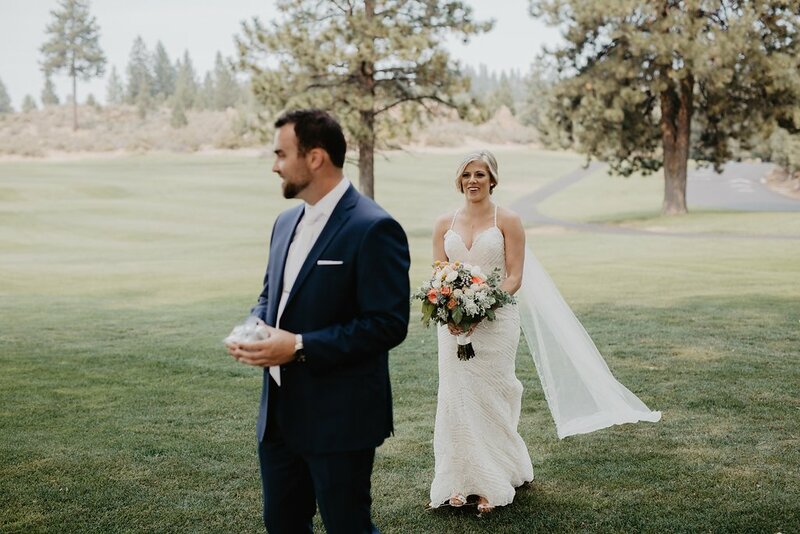 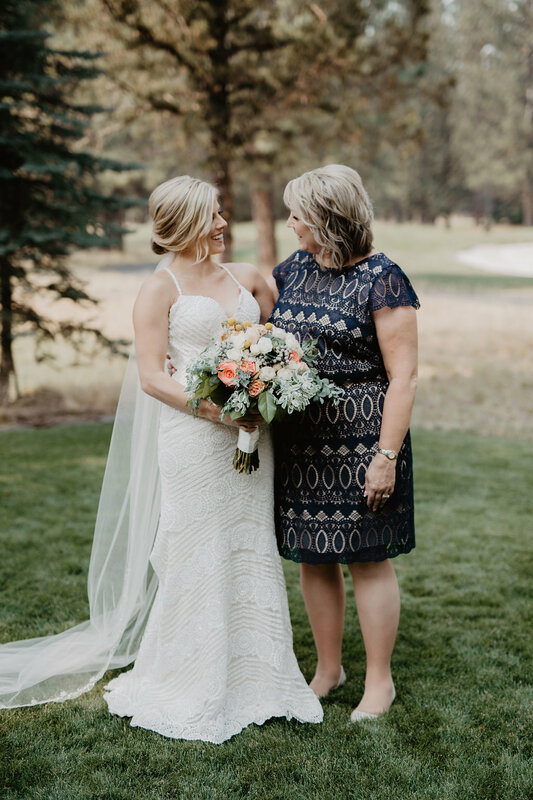 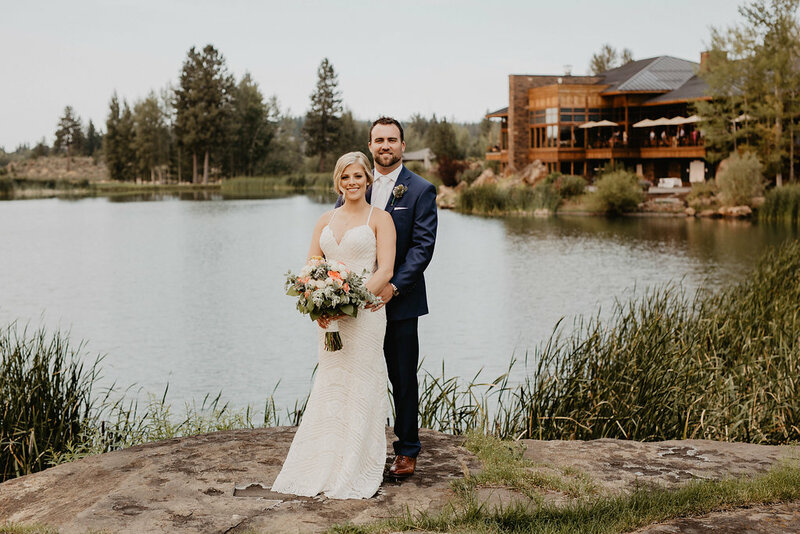 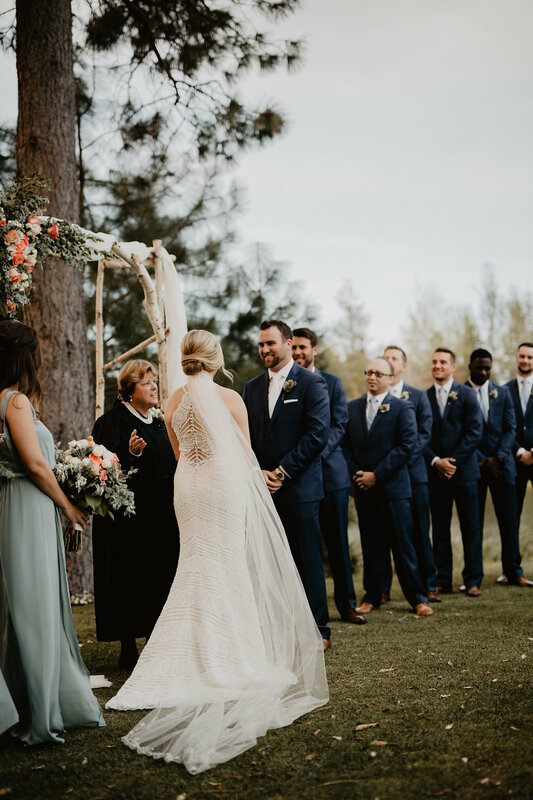 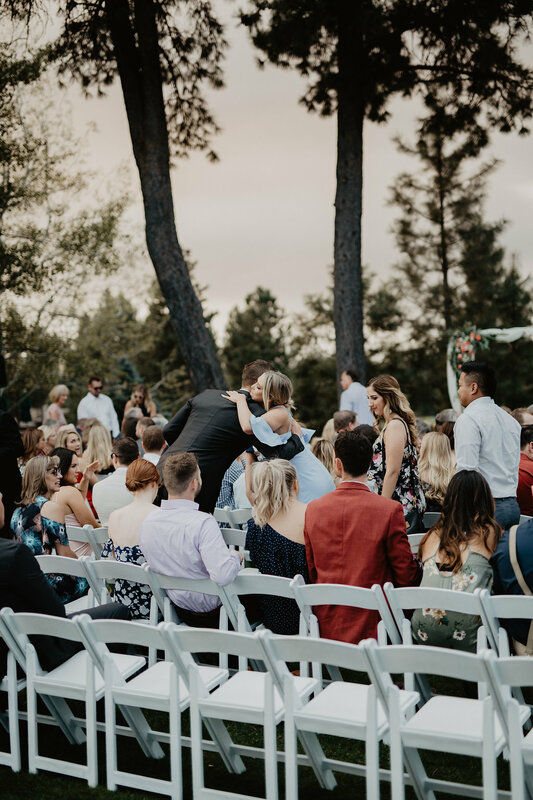 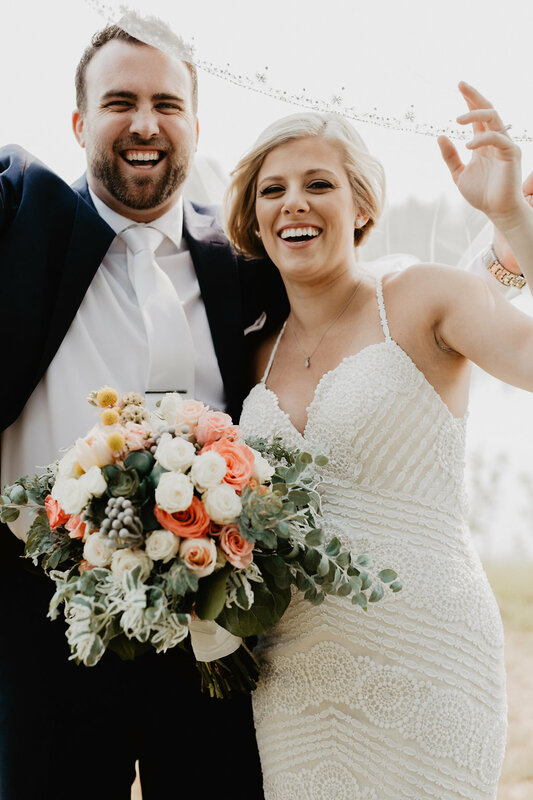 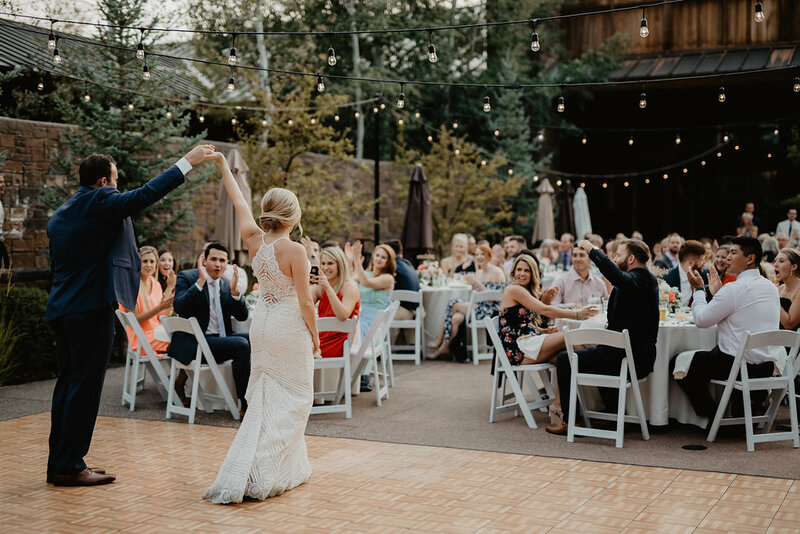 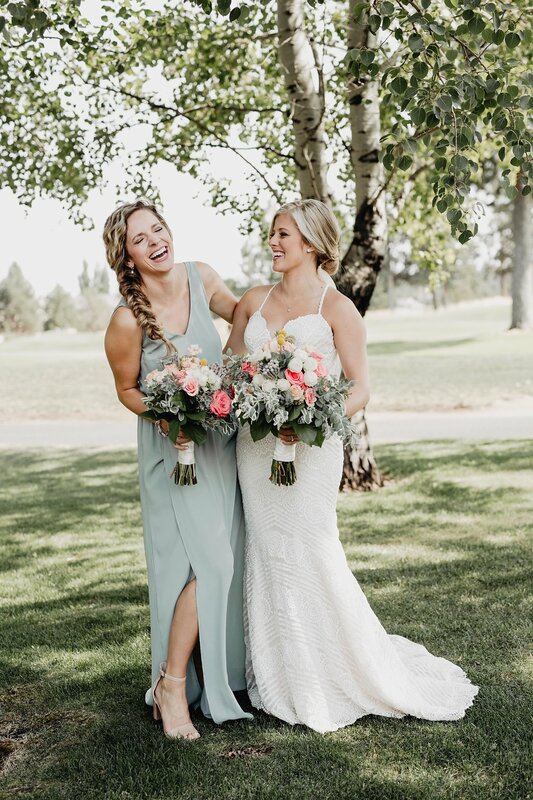 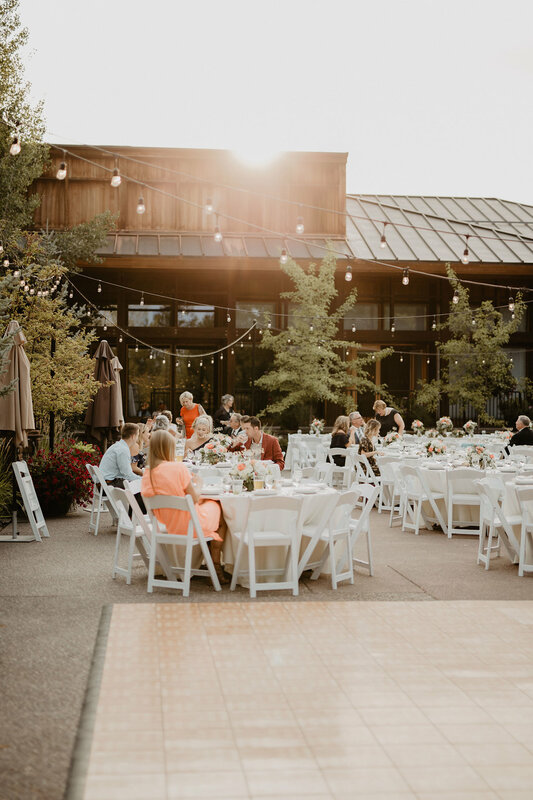 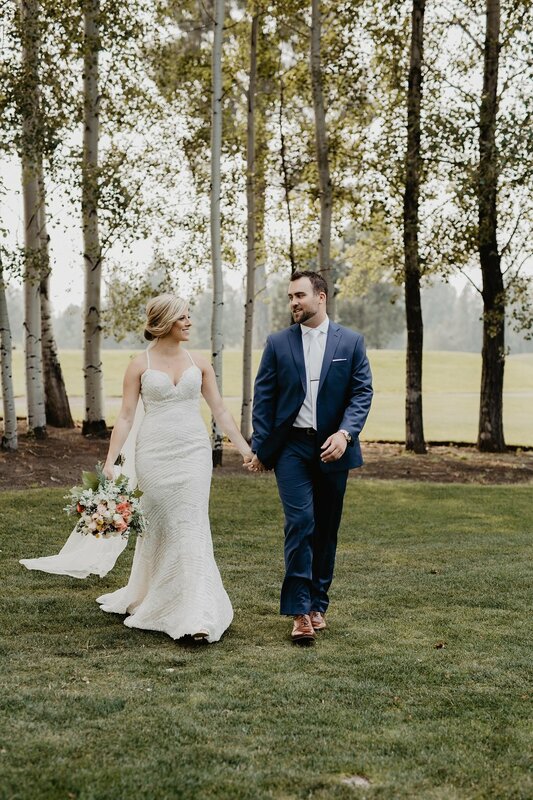 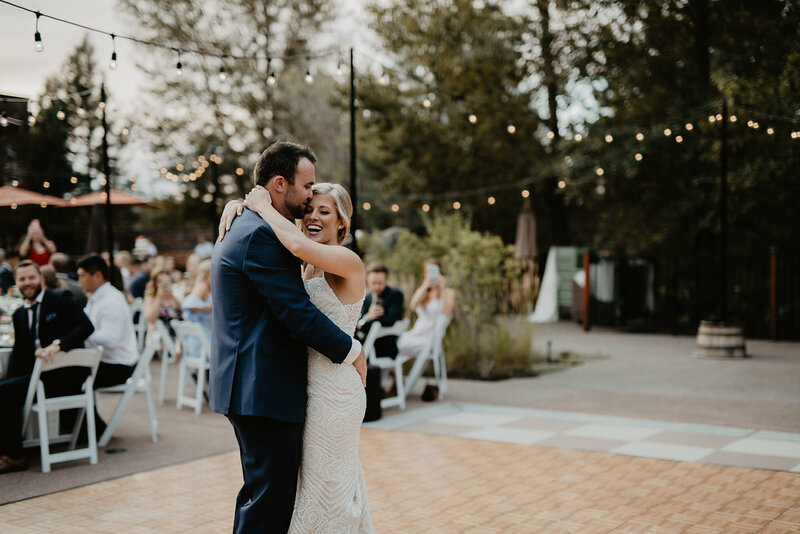 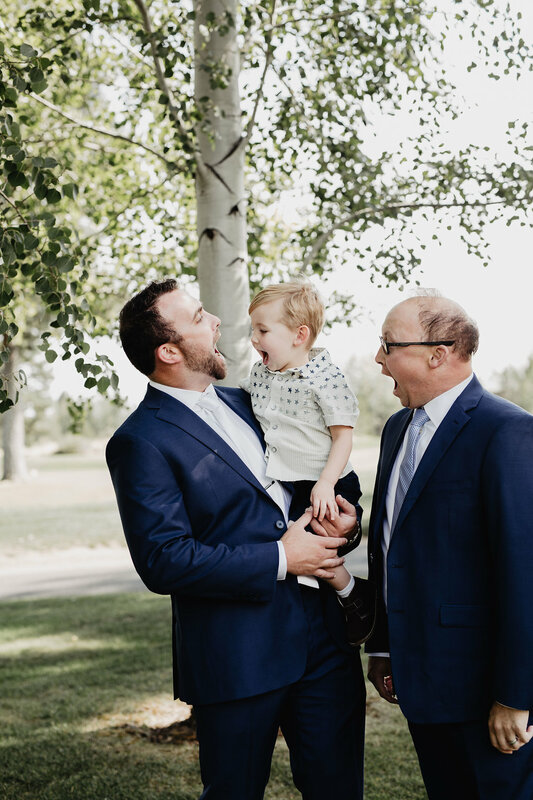 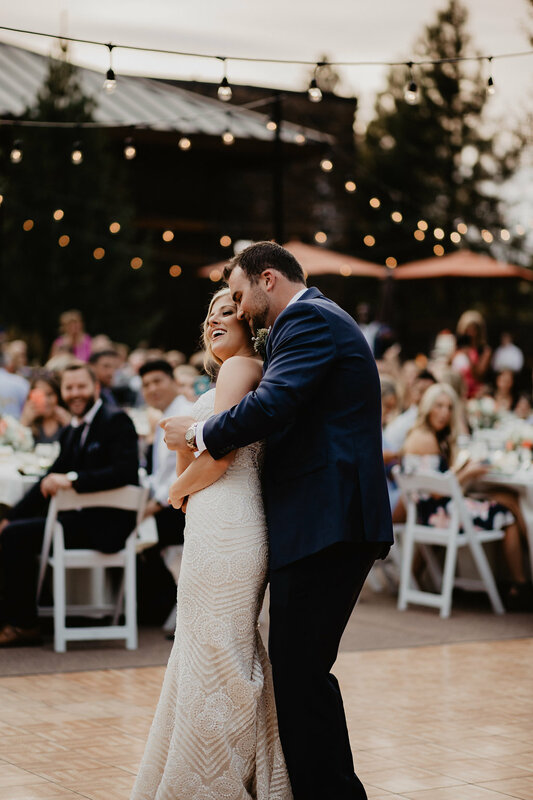 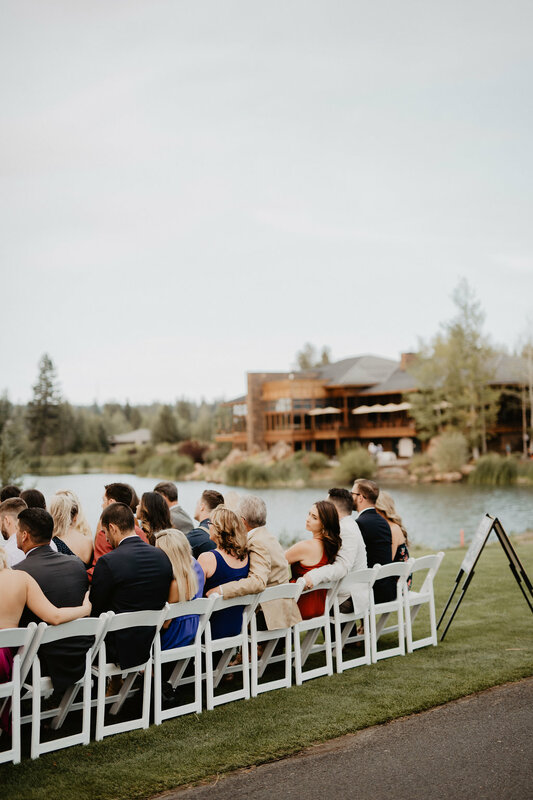 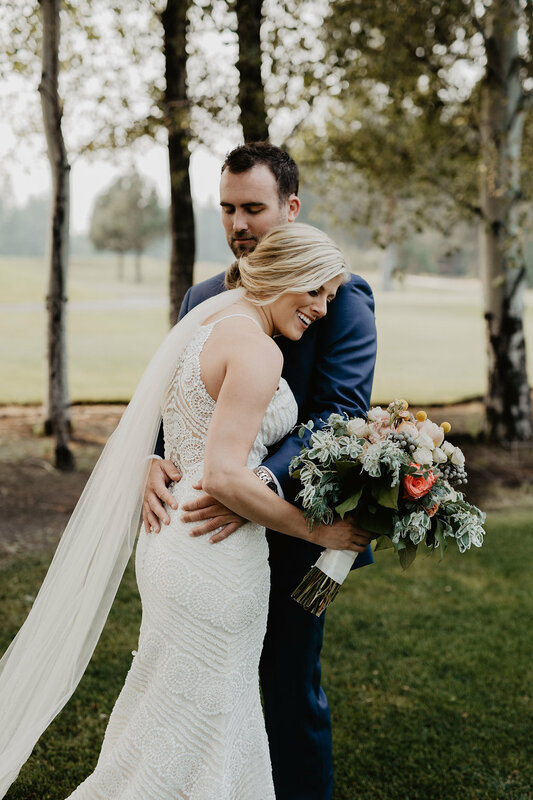 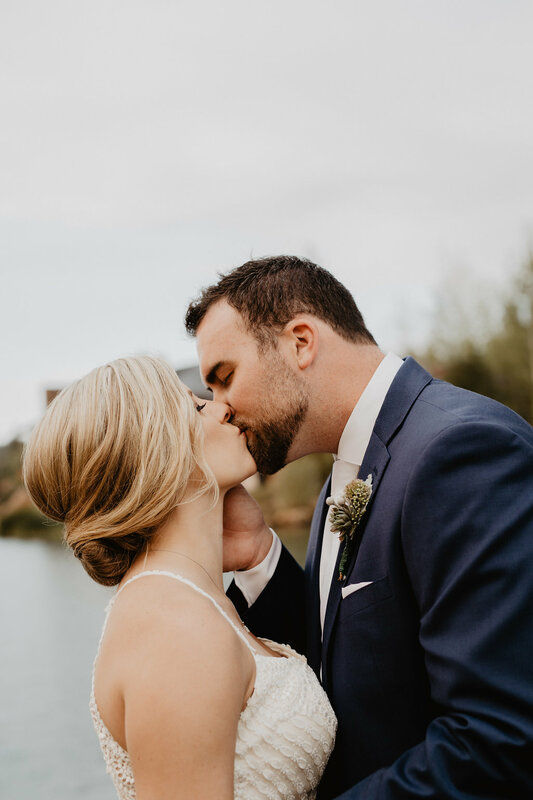 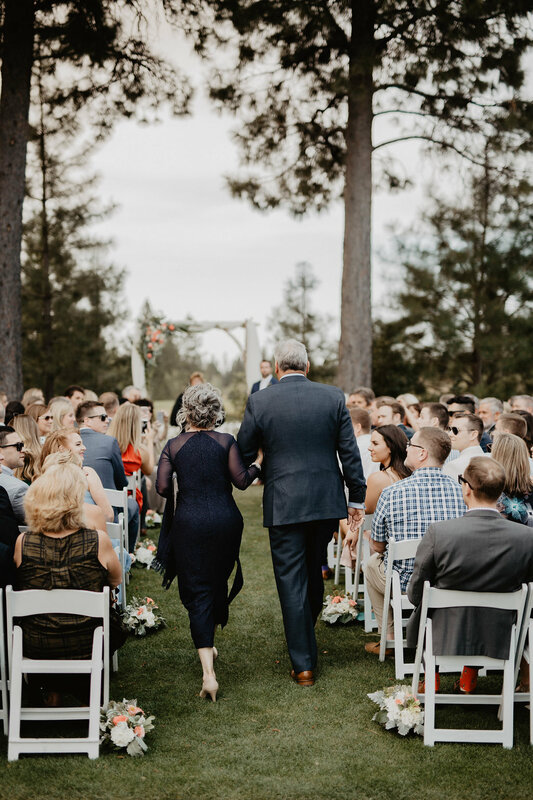 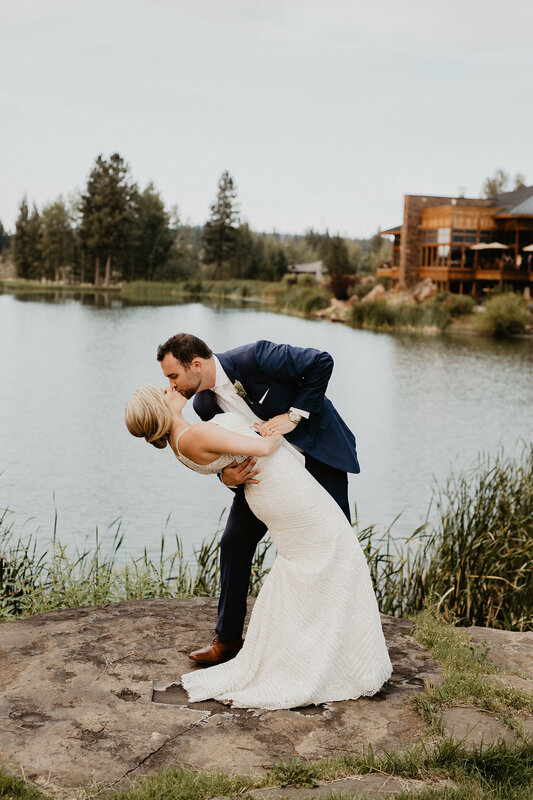 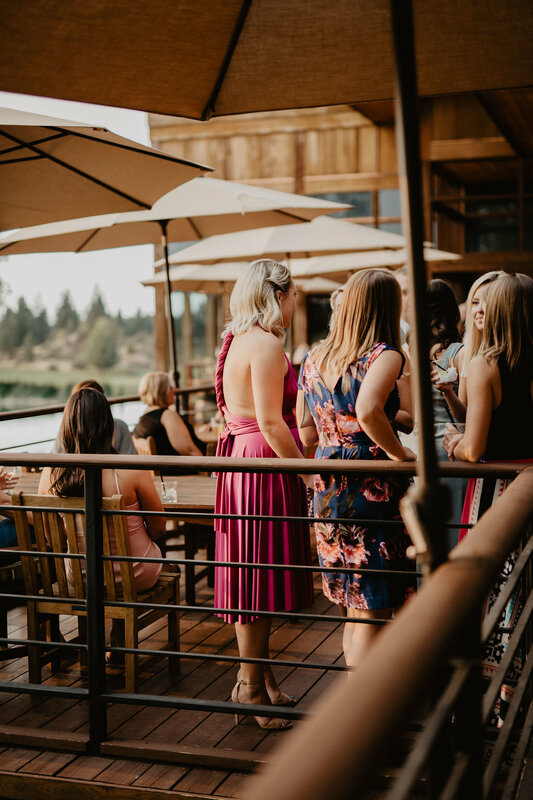 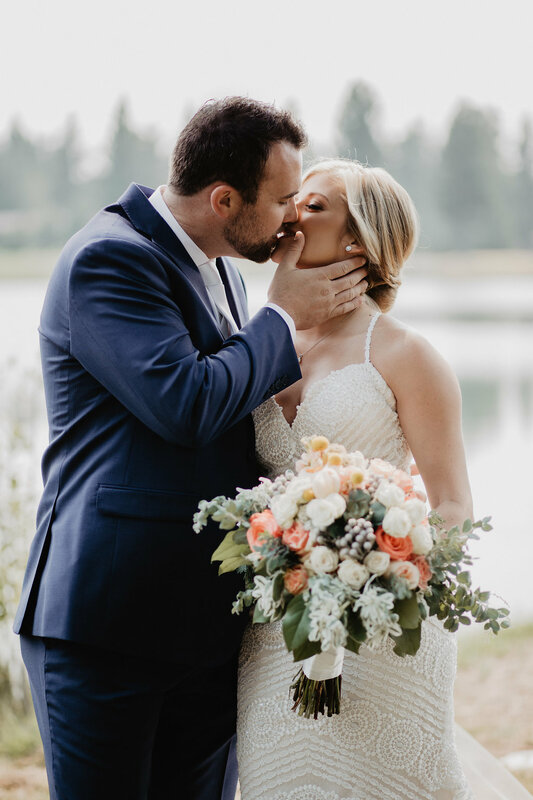 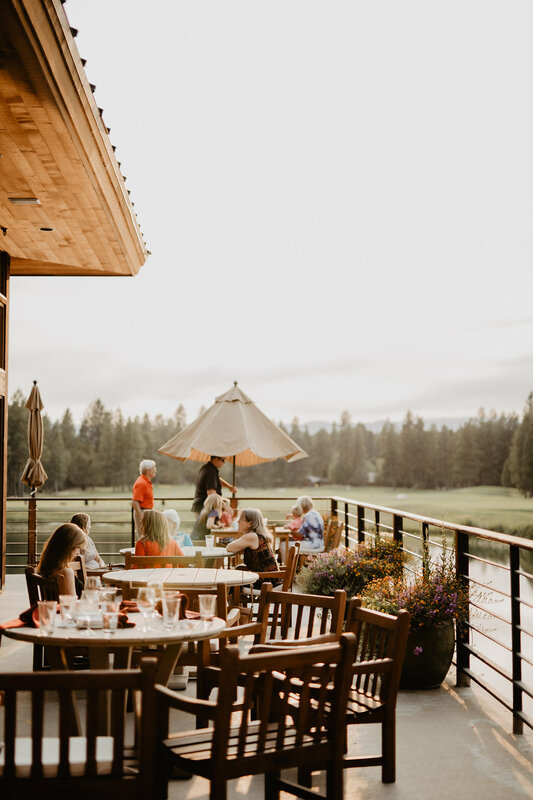 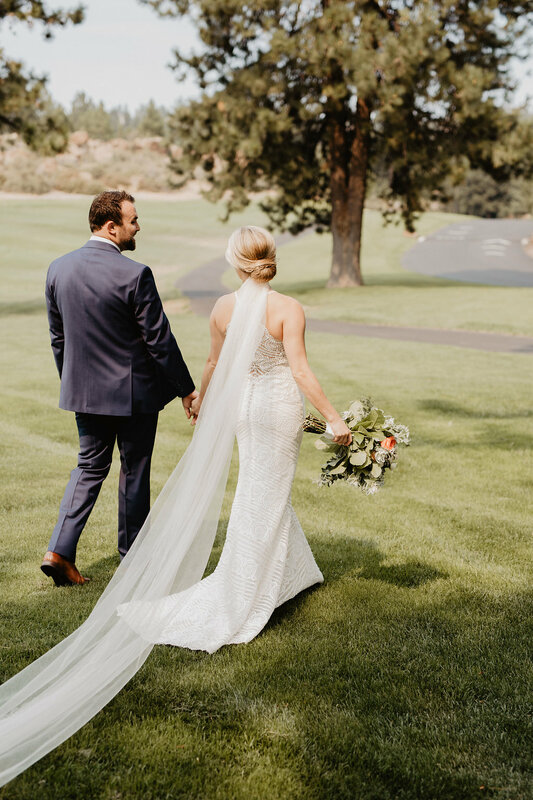 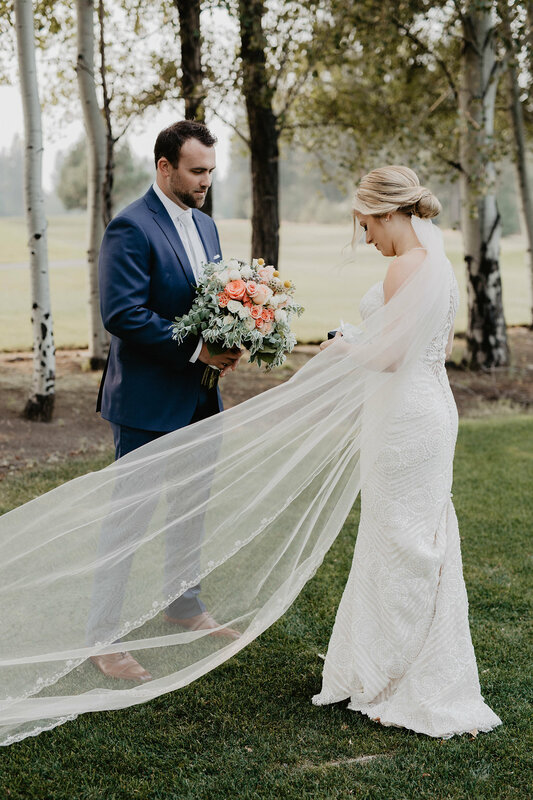 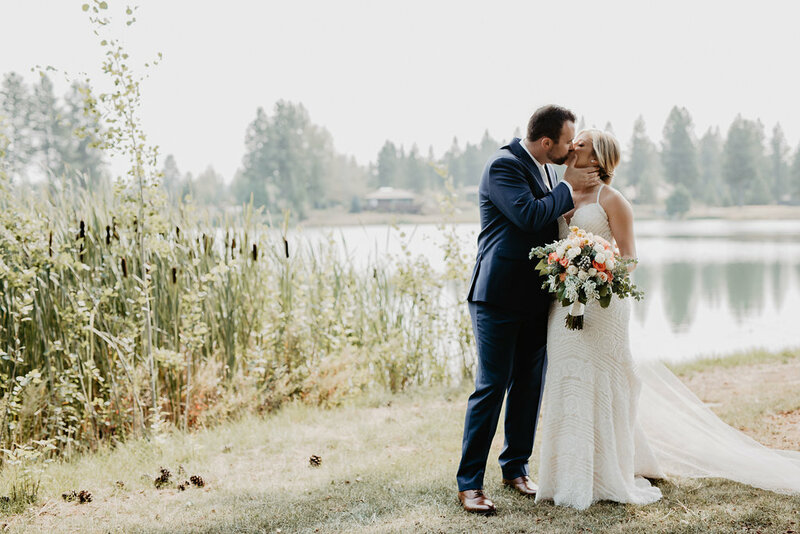 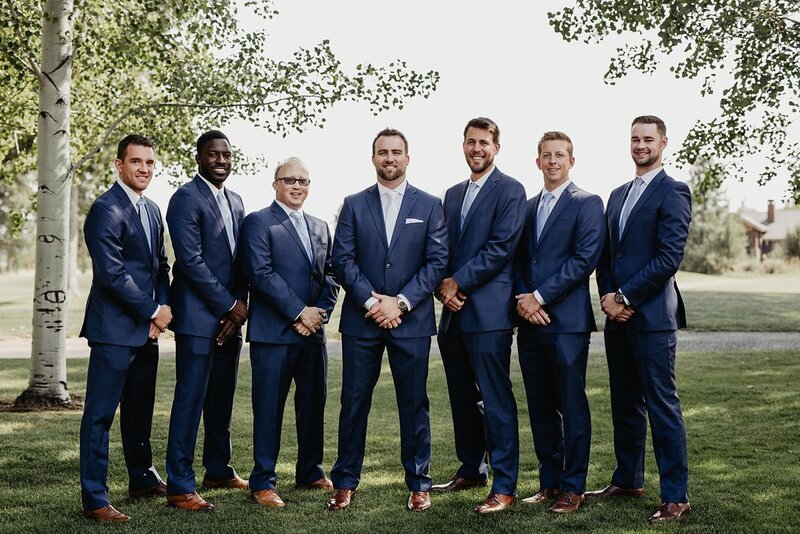 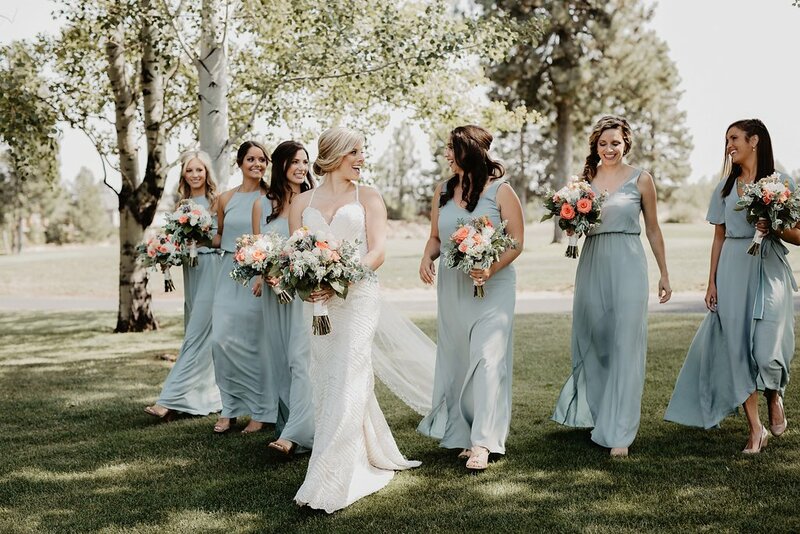 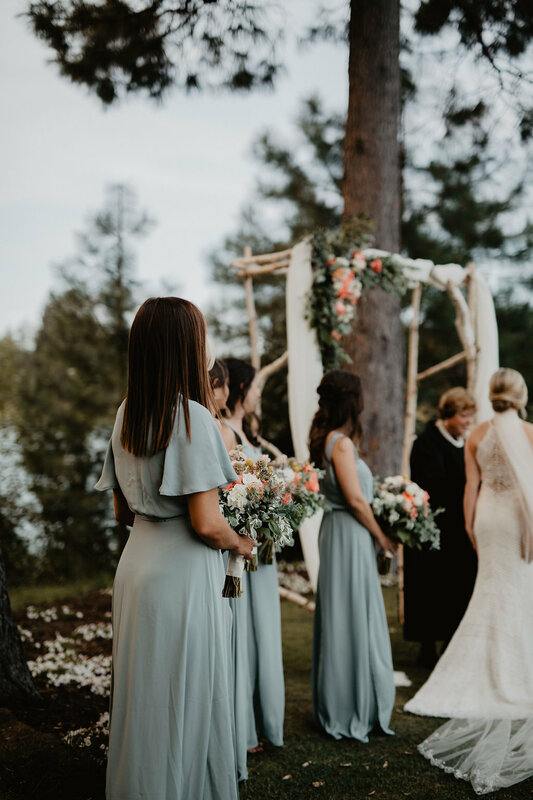 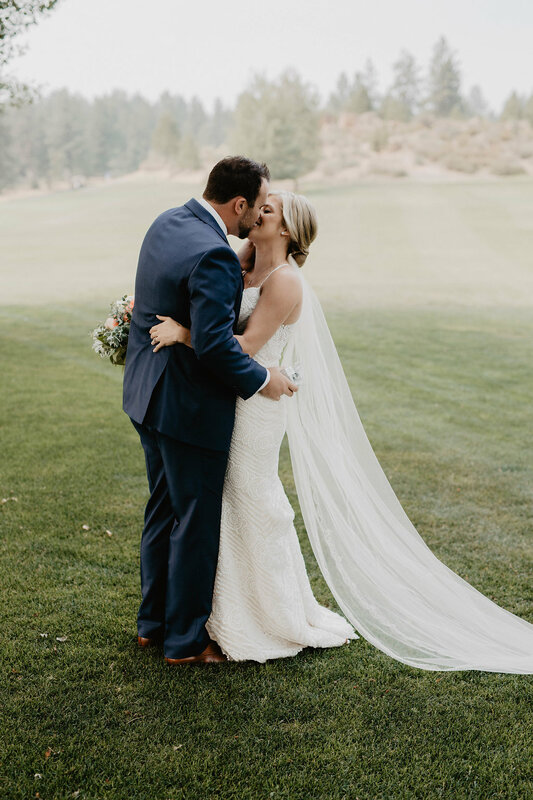 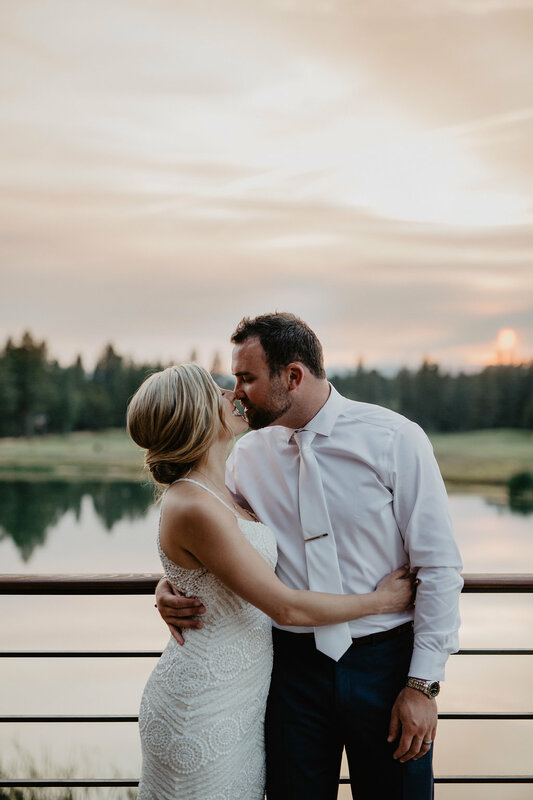 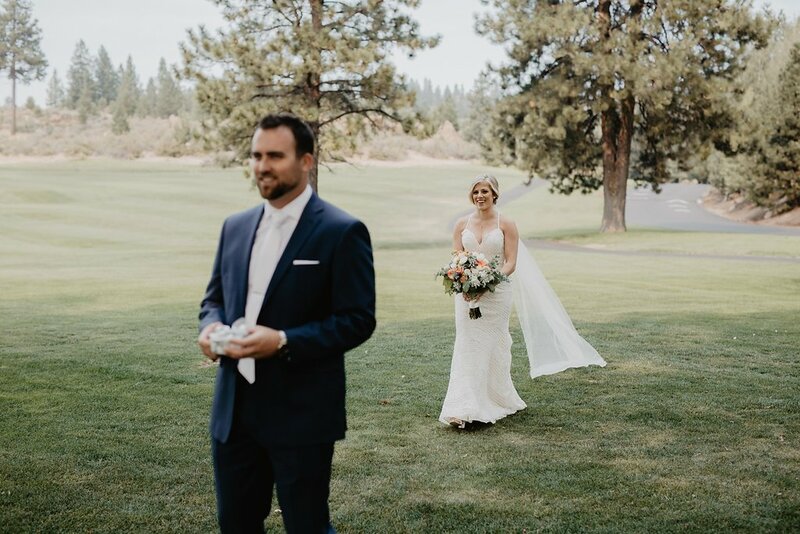 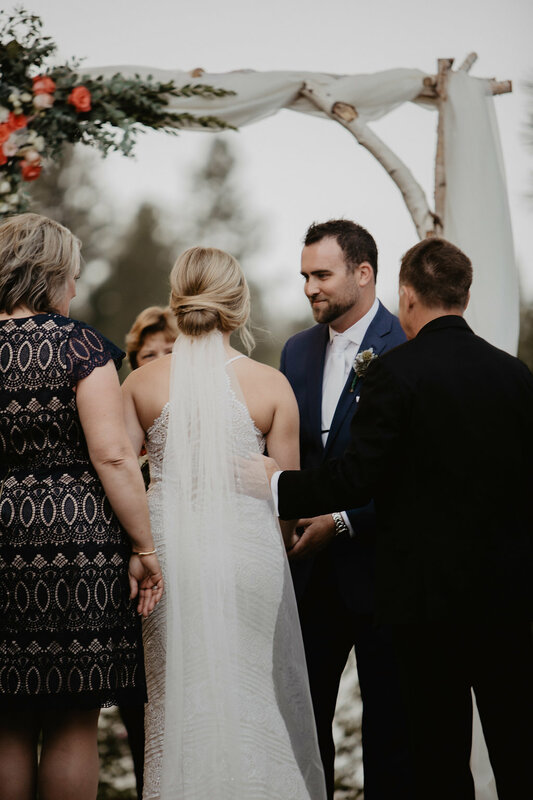 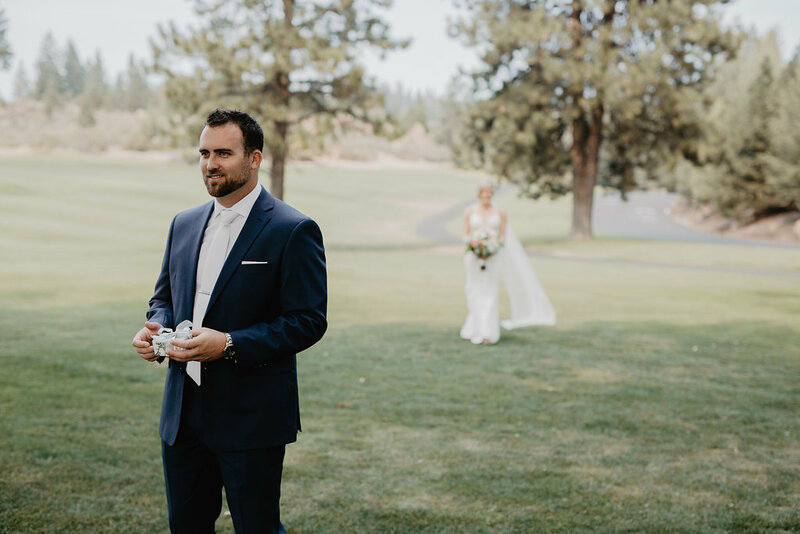 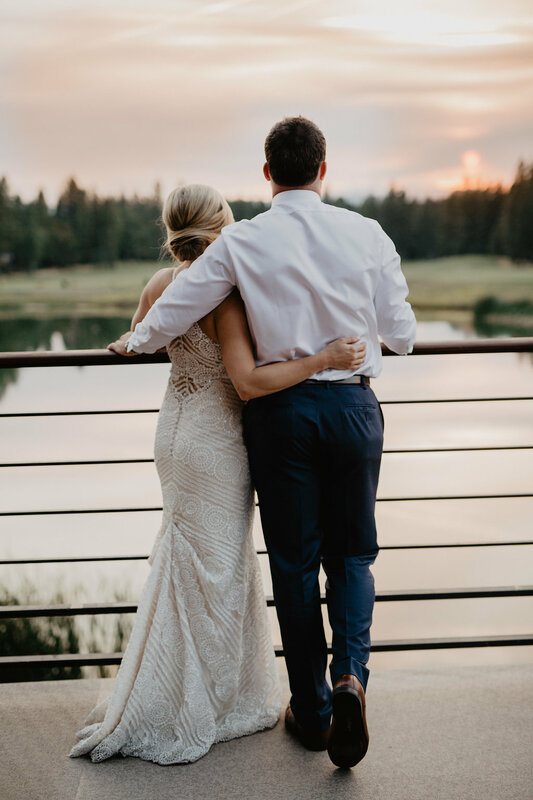 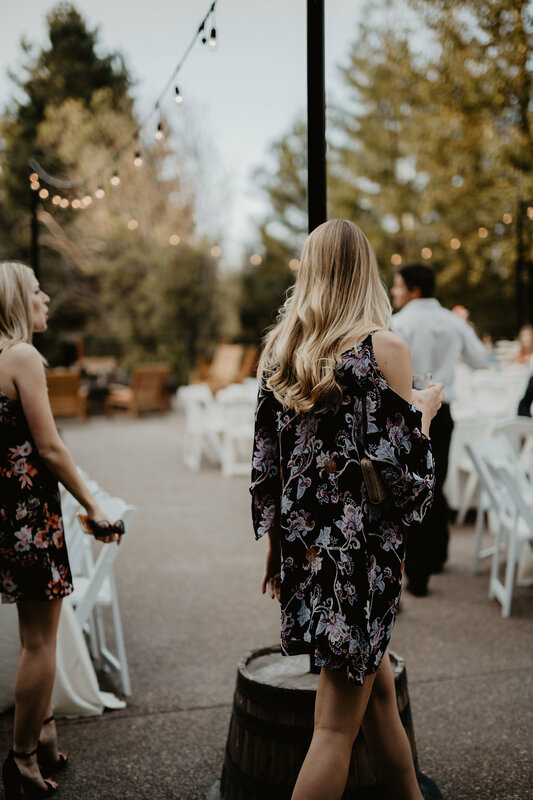 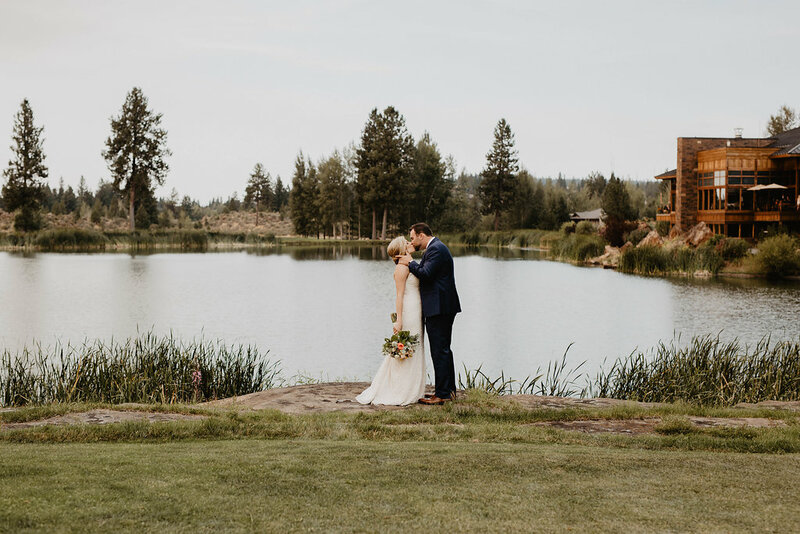 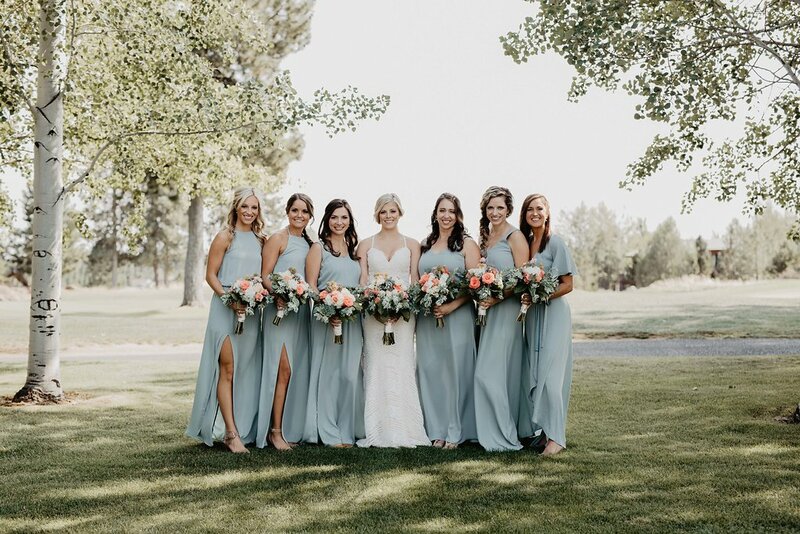 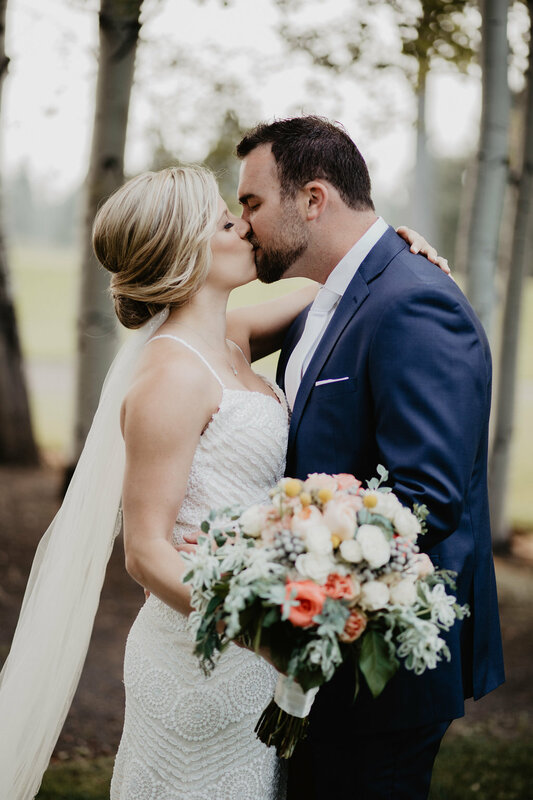 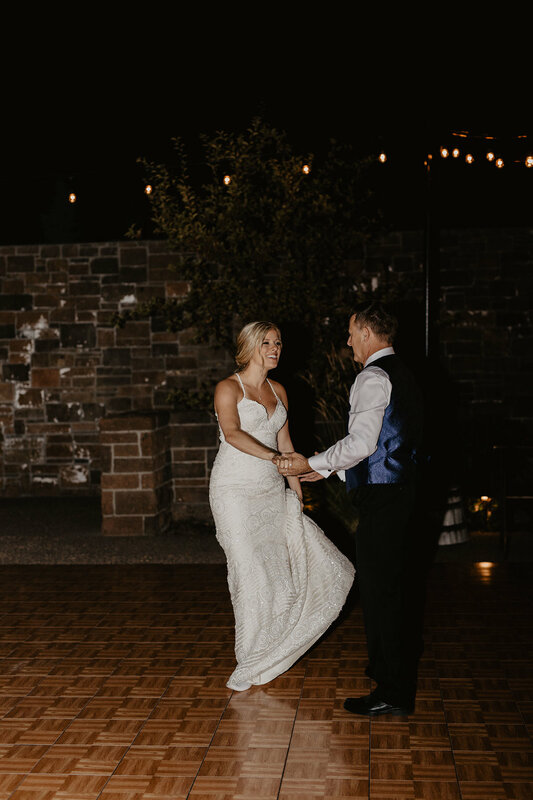 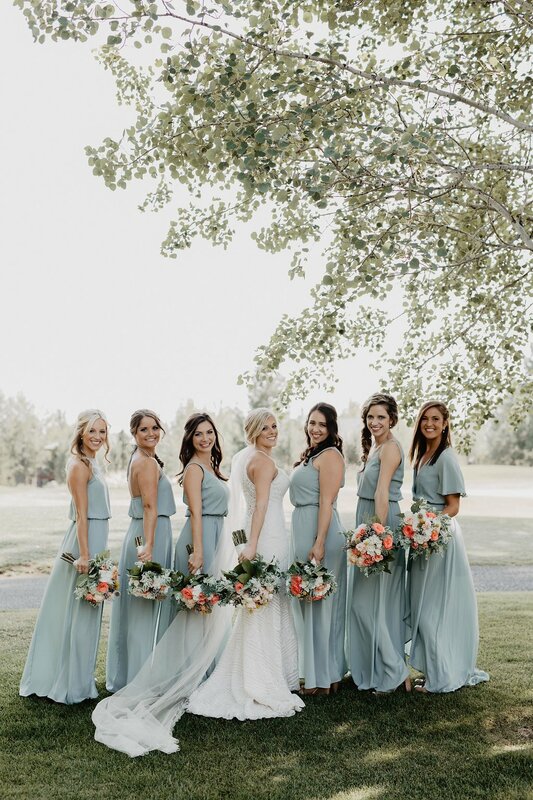 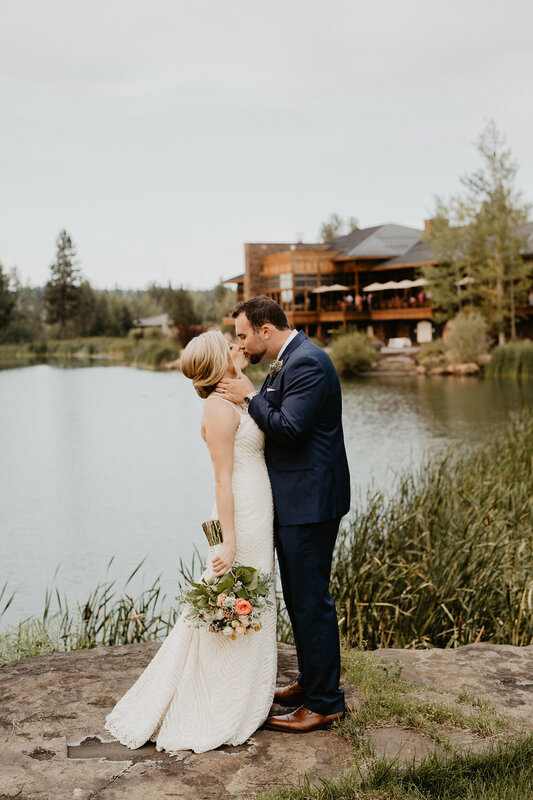 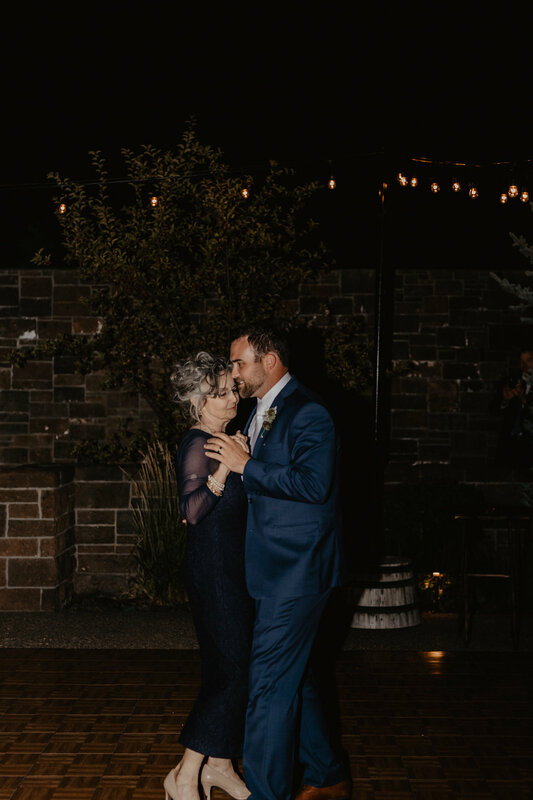 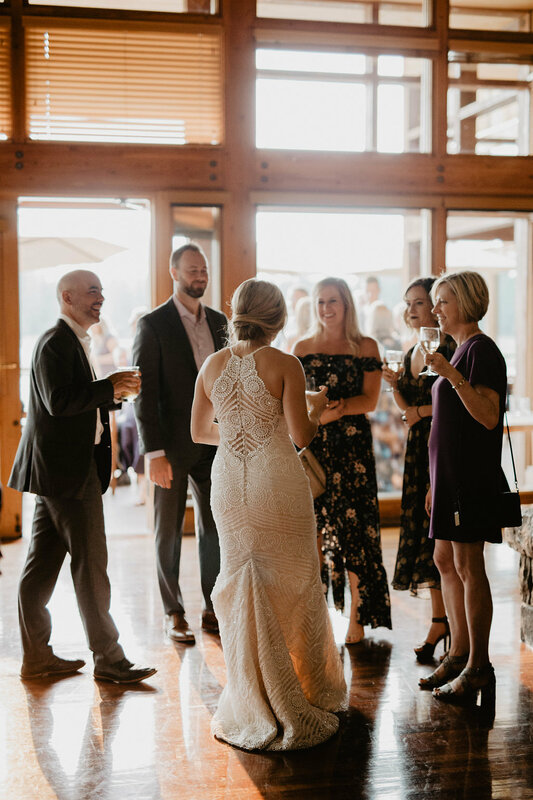 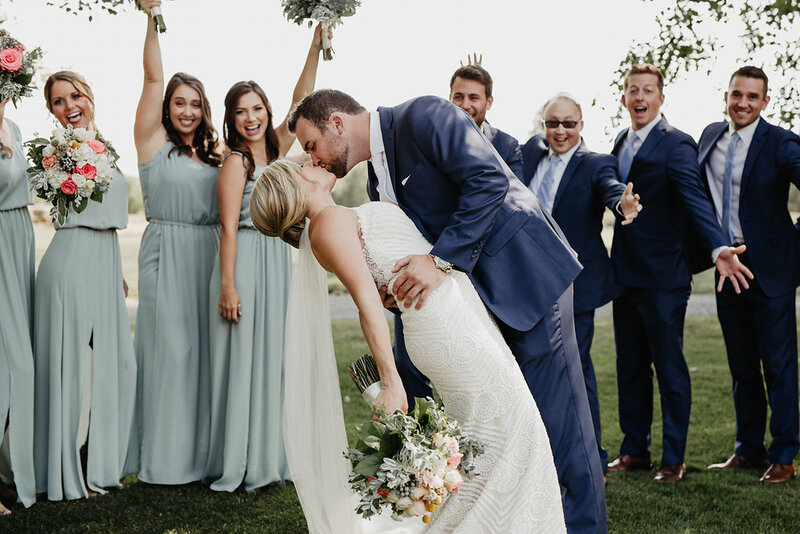 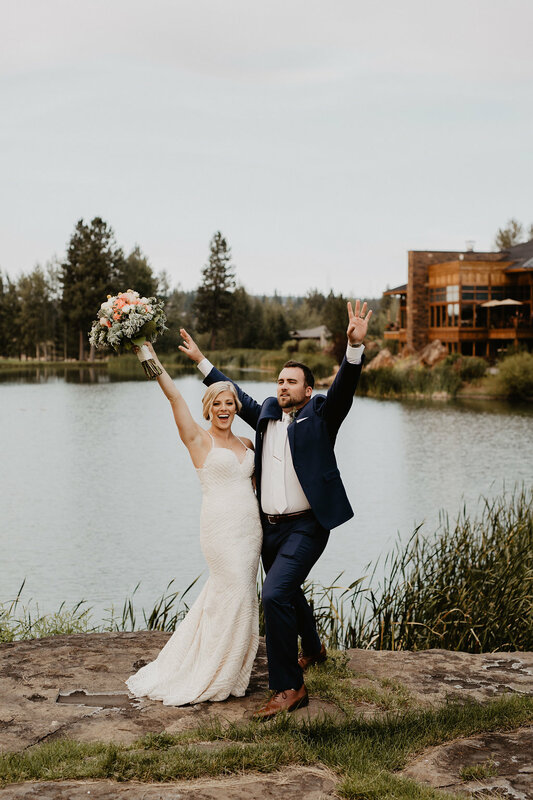 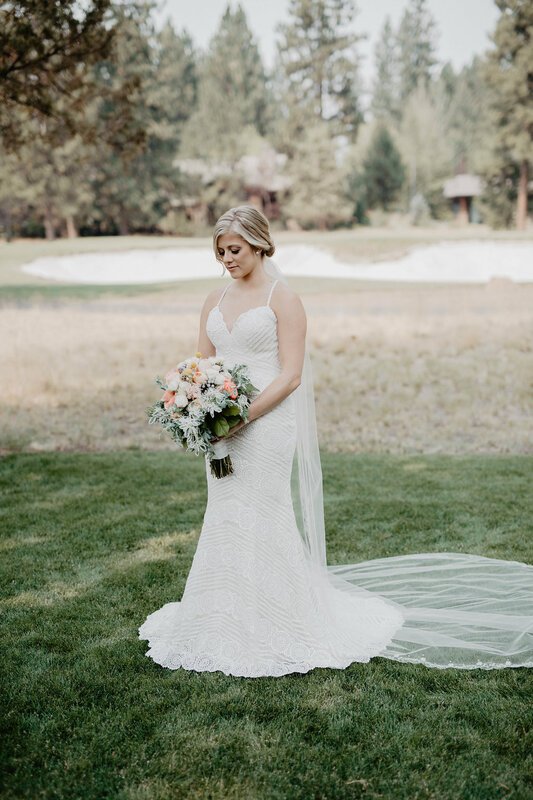 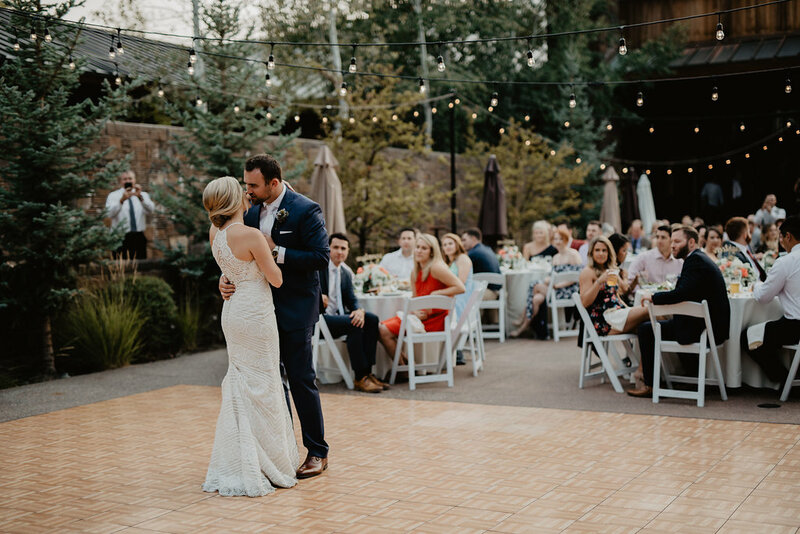 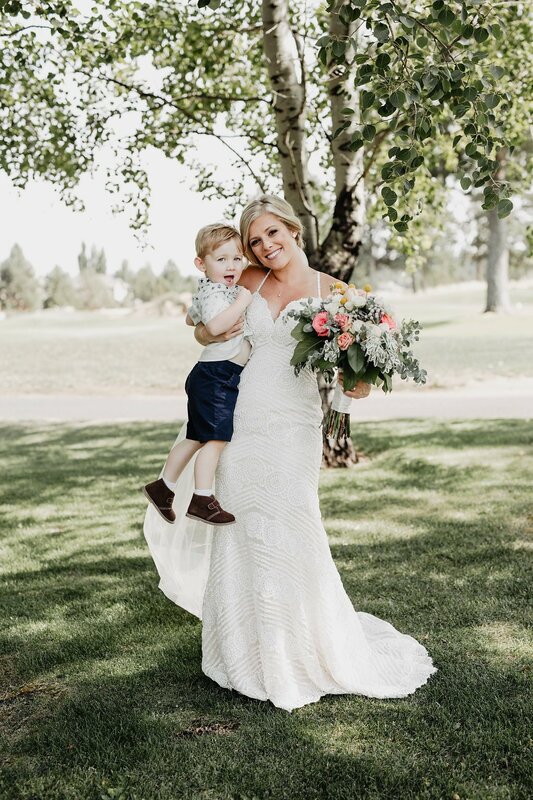 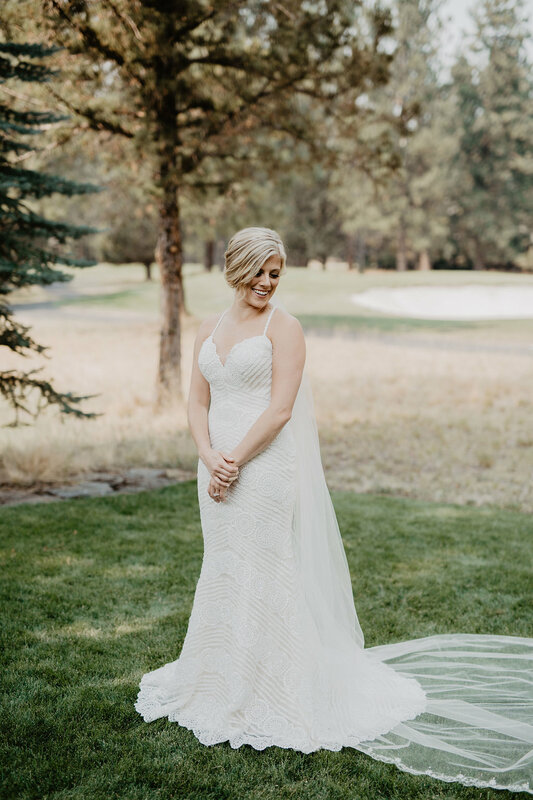 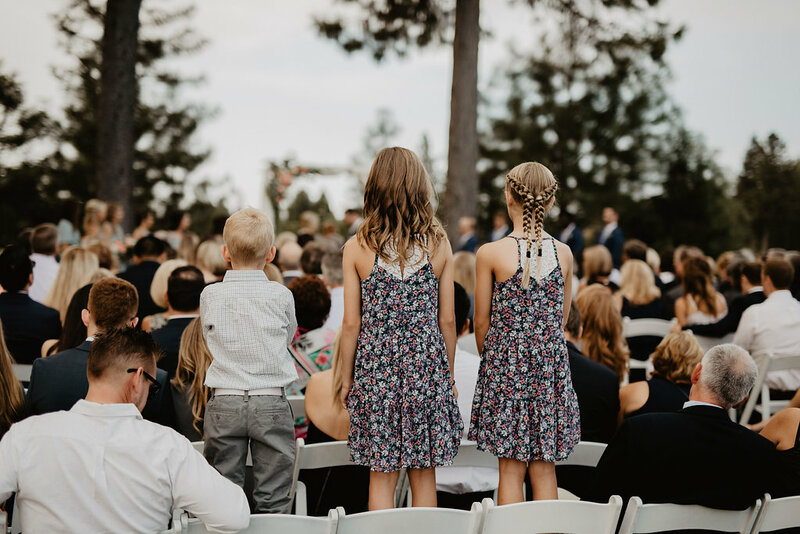 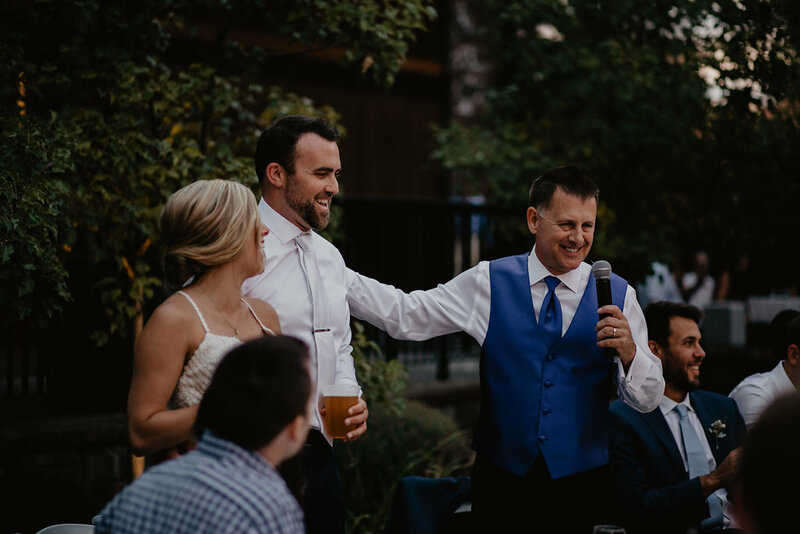 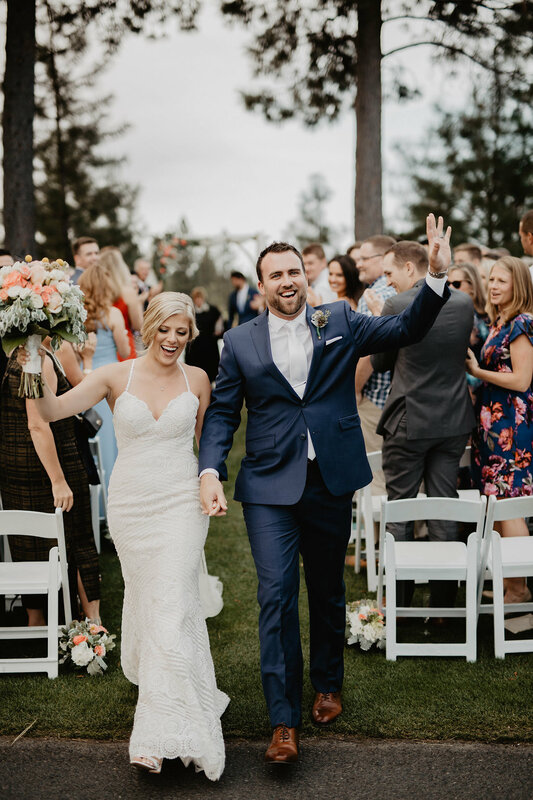 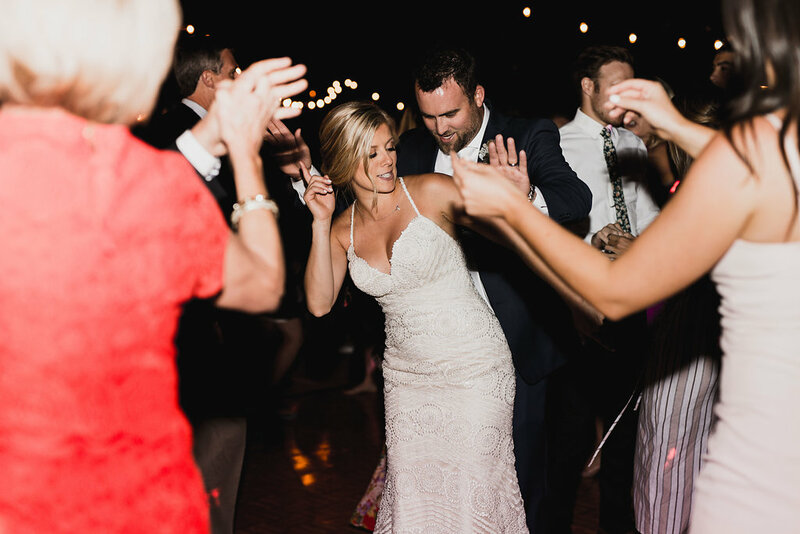 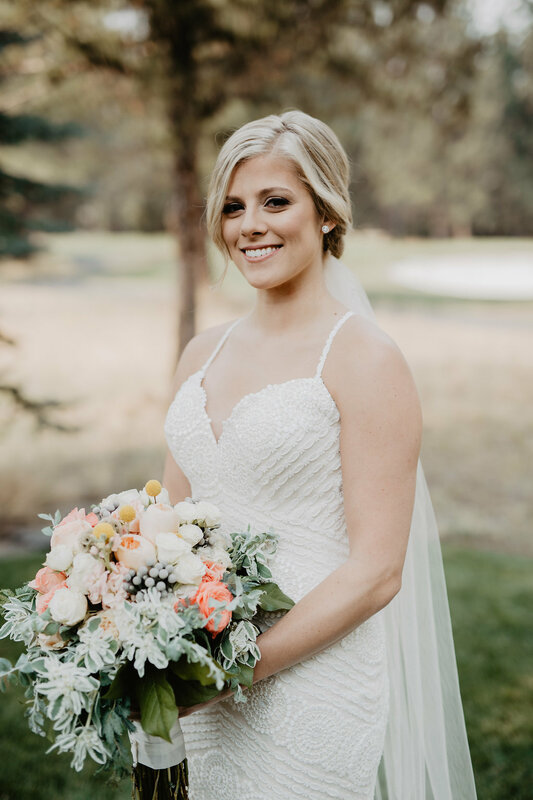 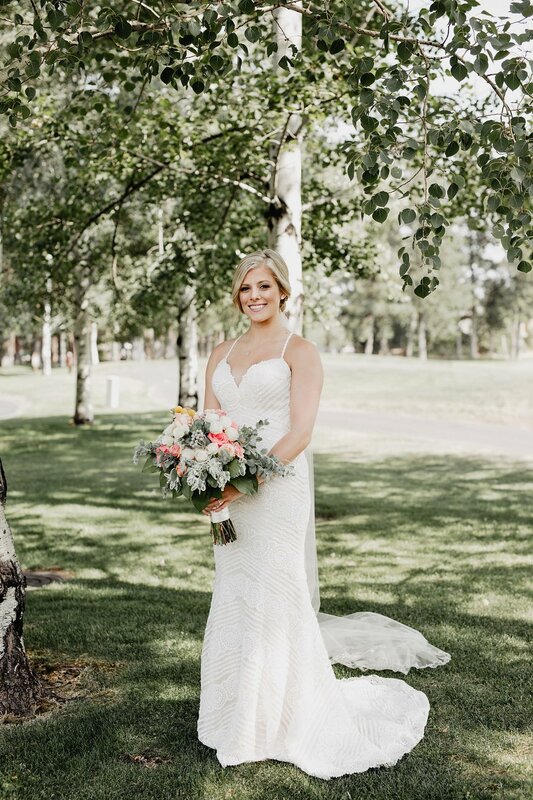 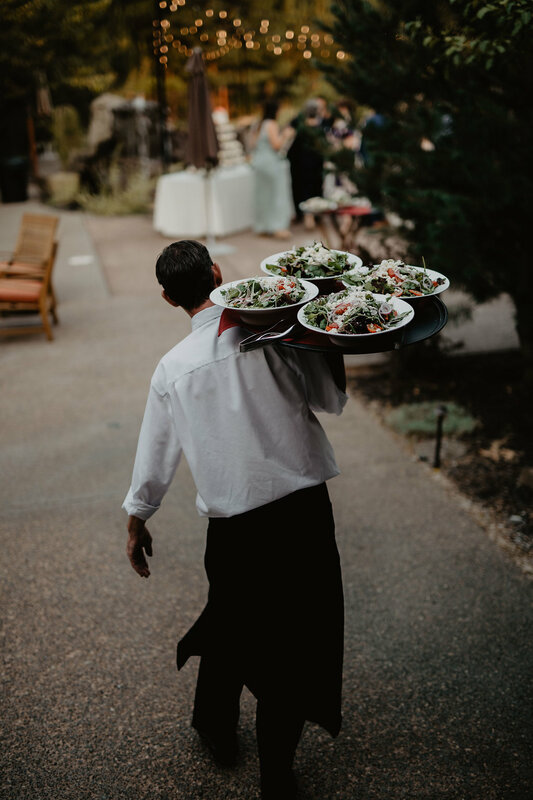 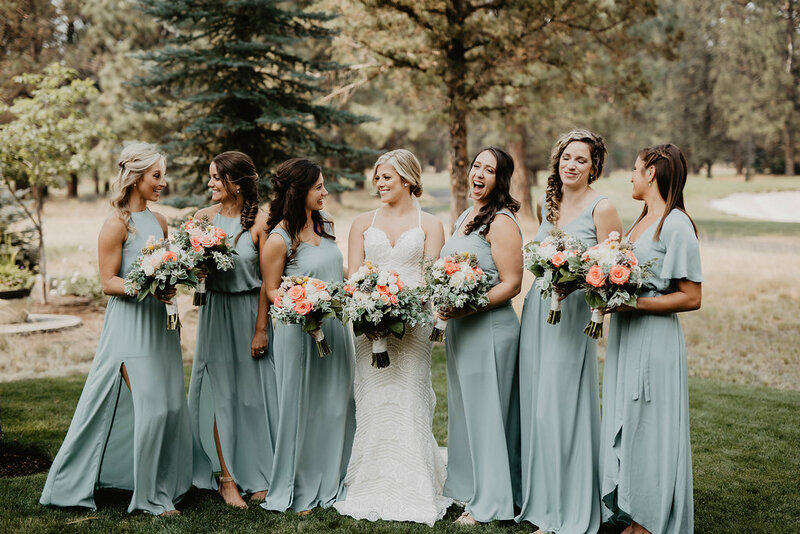 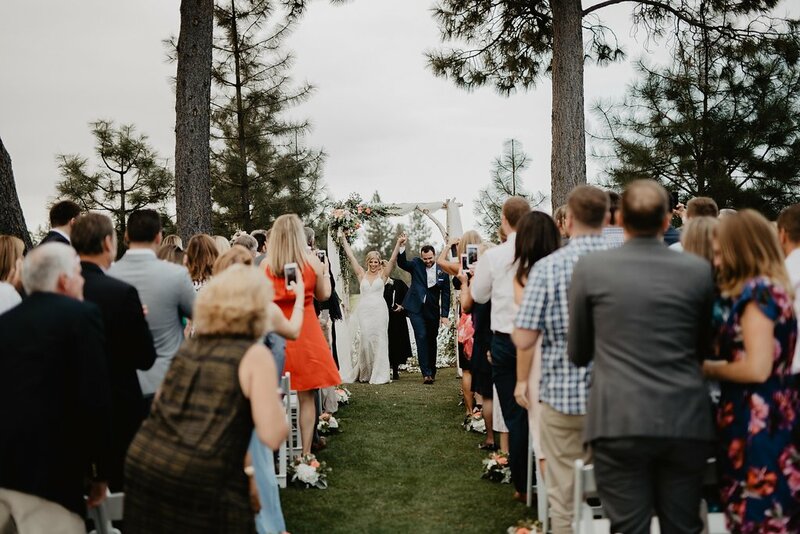 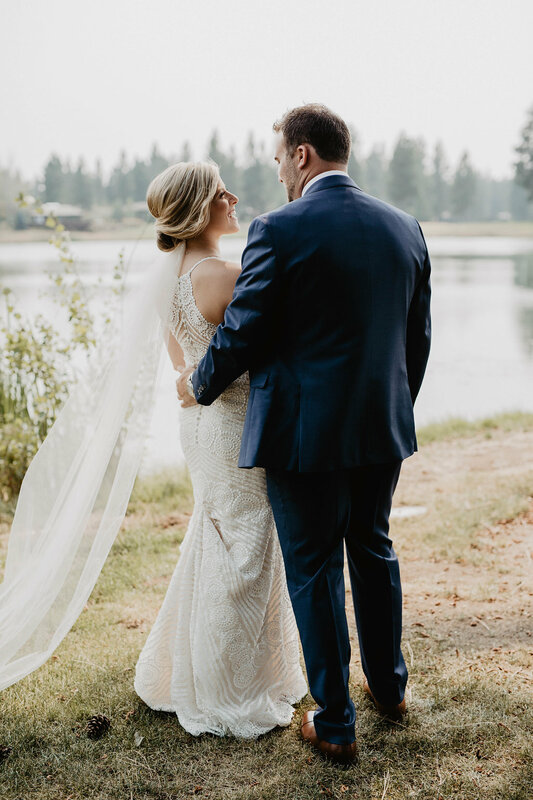 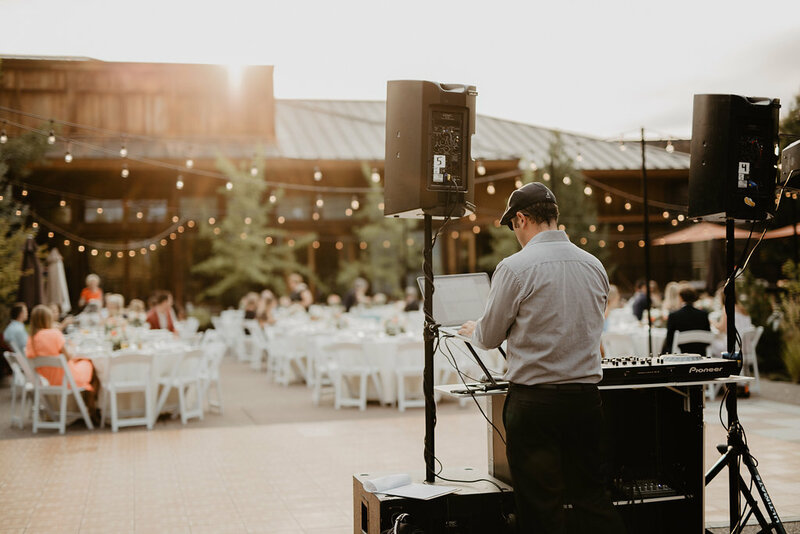 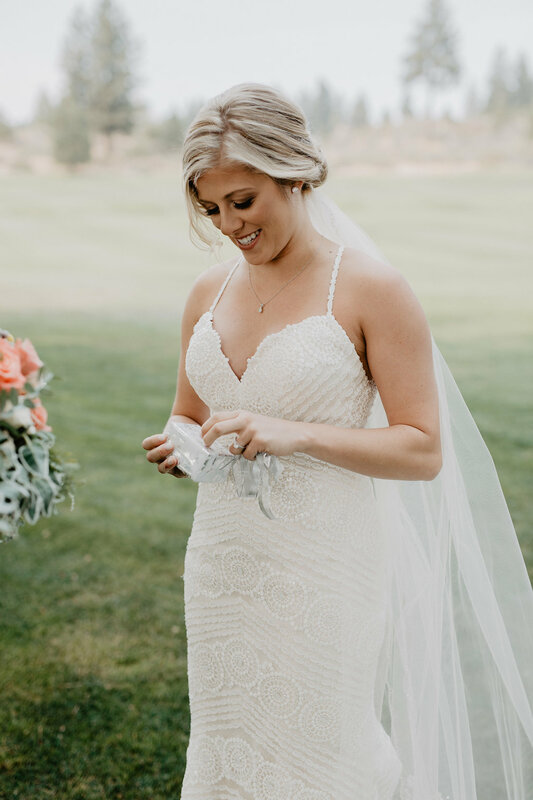 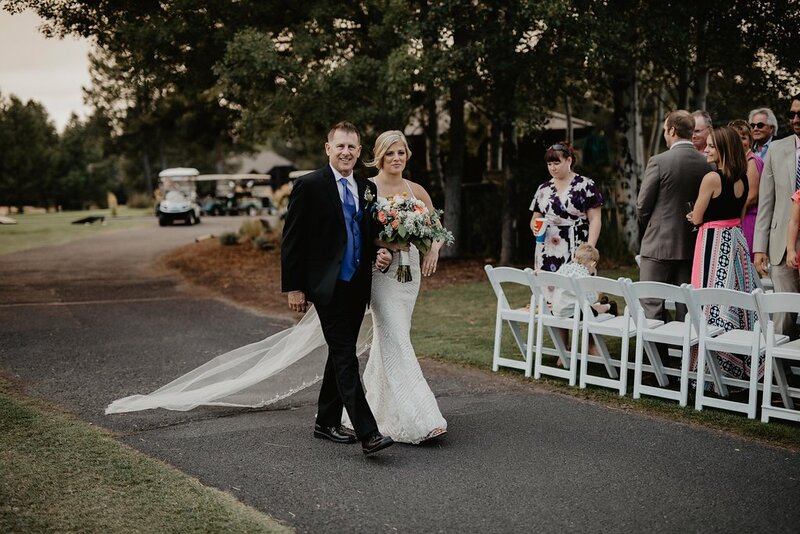 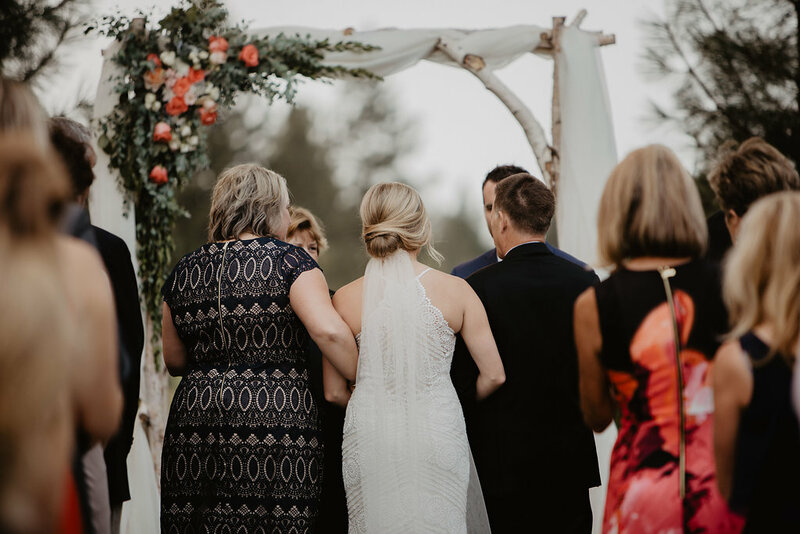 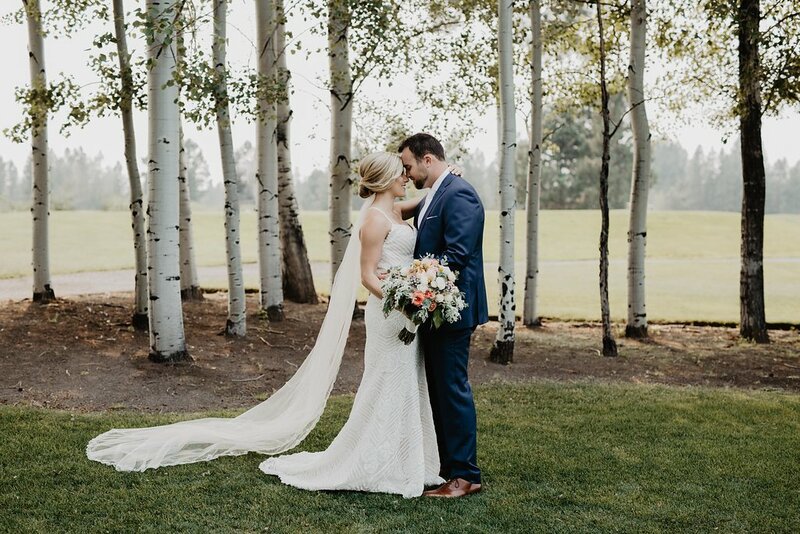 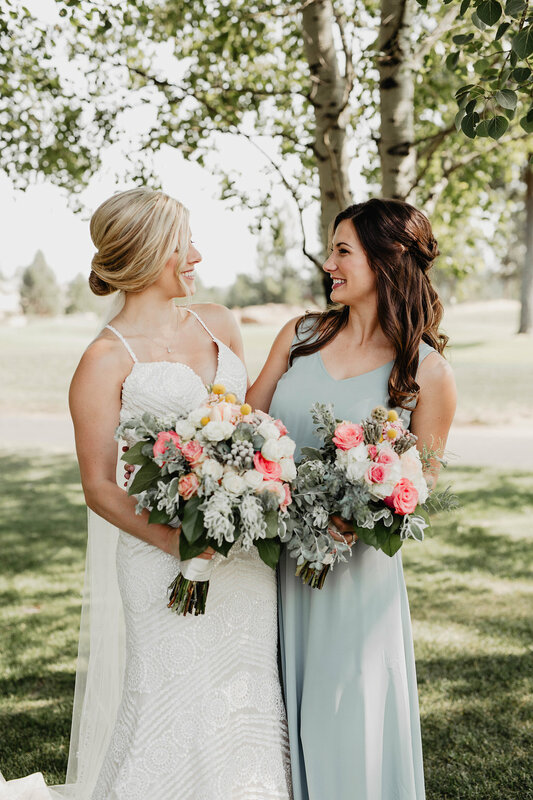 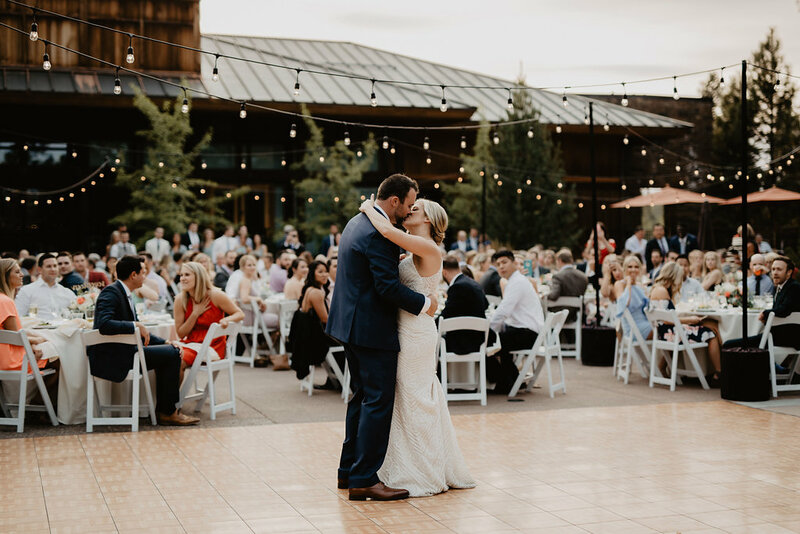 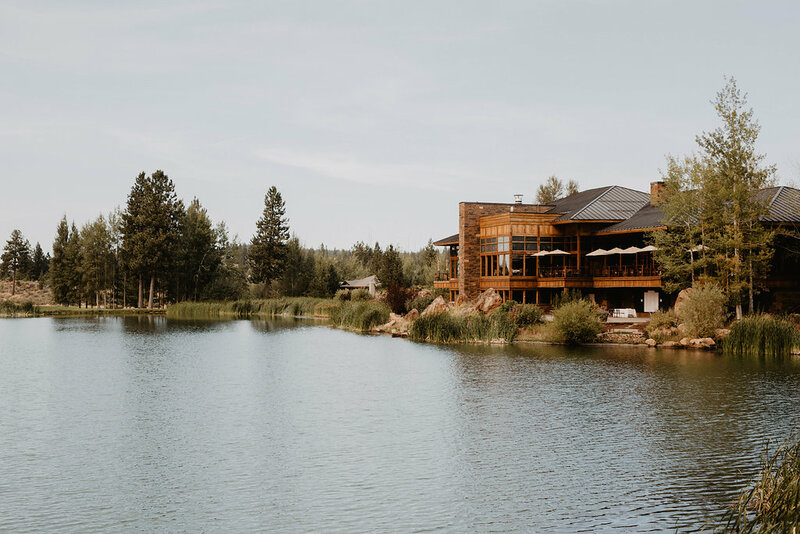 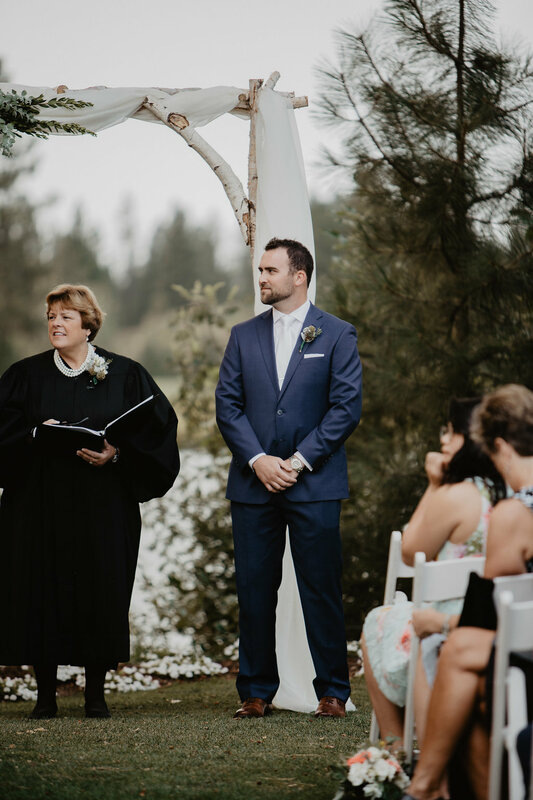 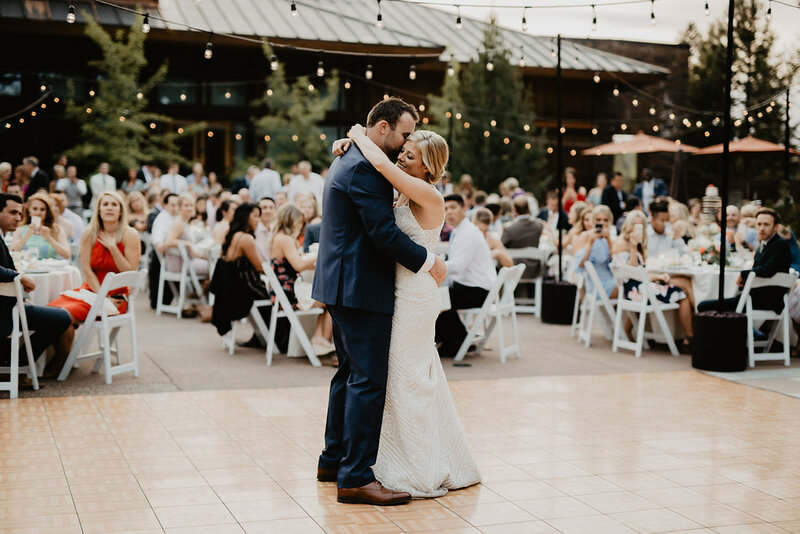 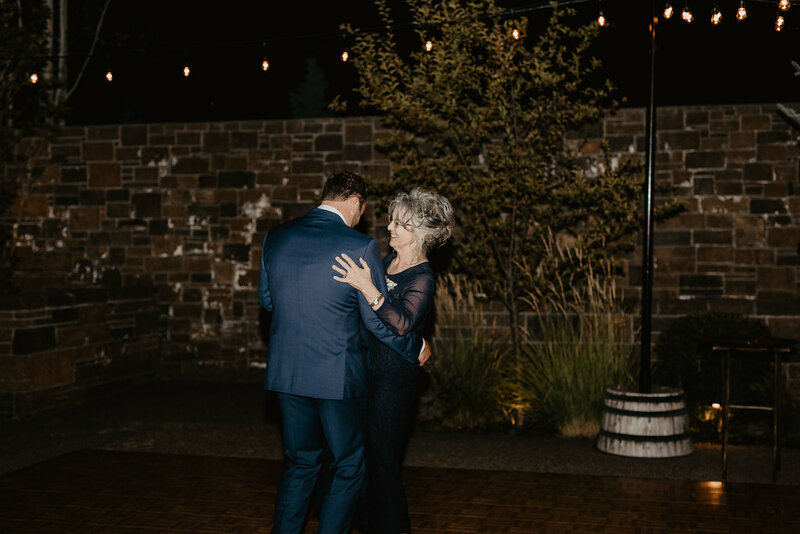 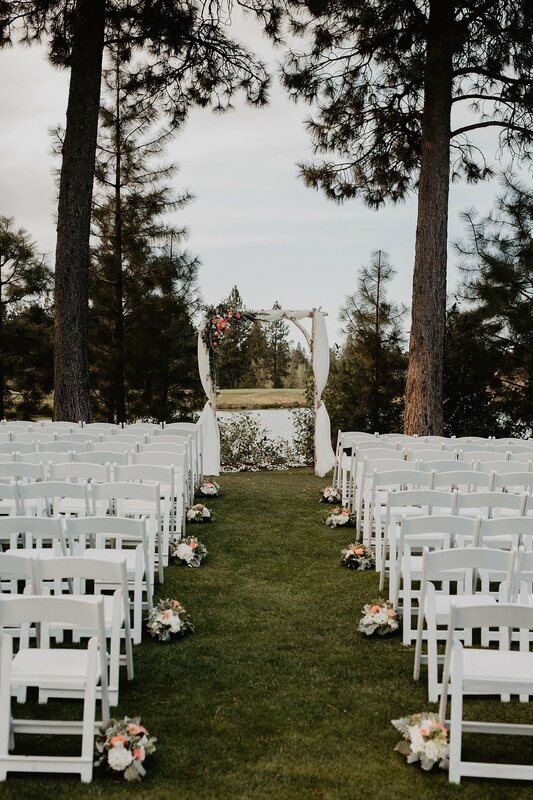 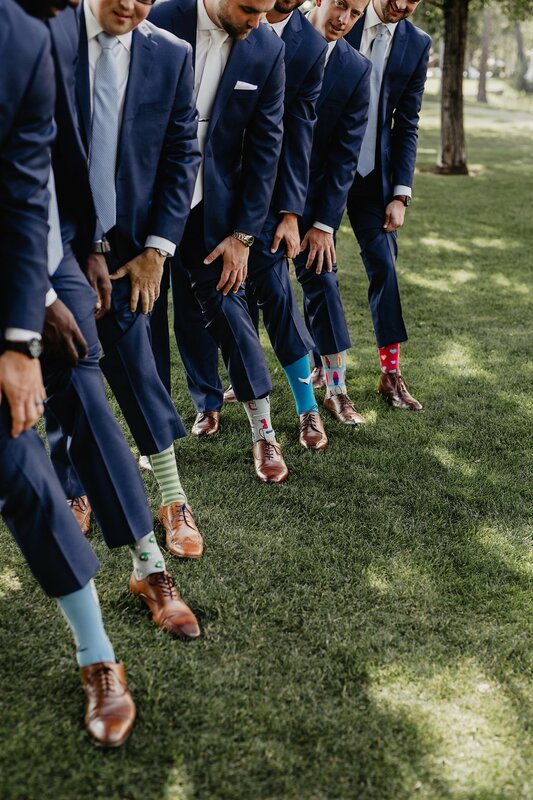 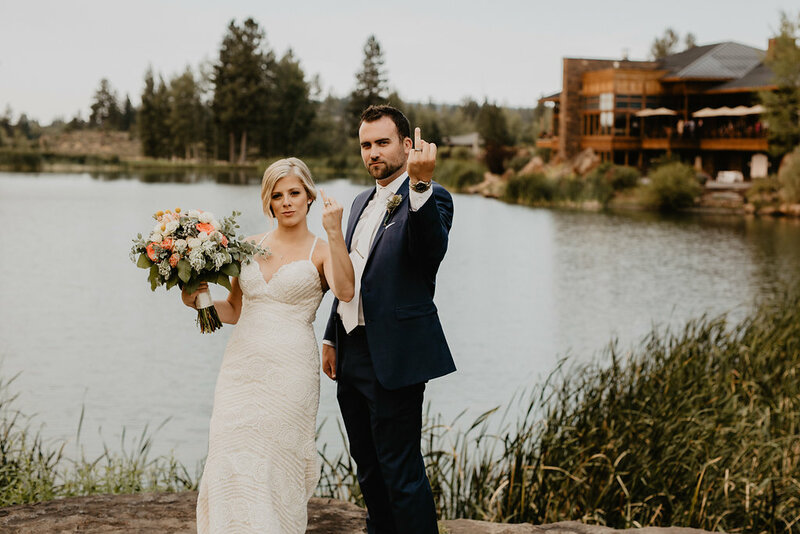 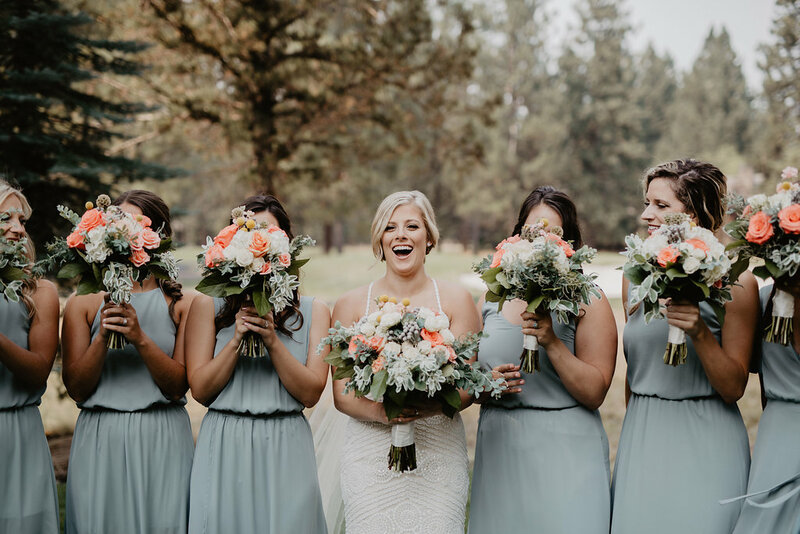 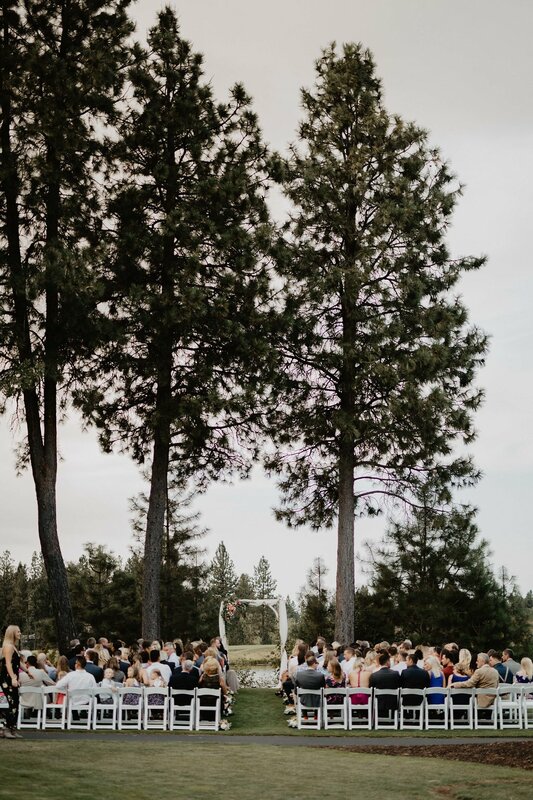 John and Ally's wedding day was at the end of summer in Bend, Oregon. 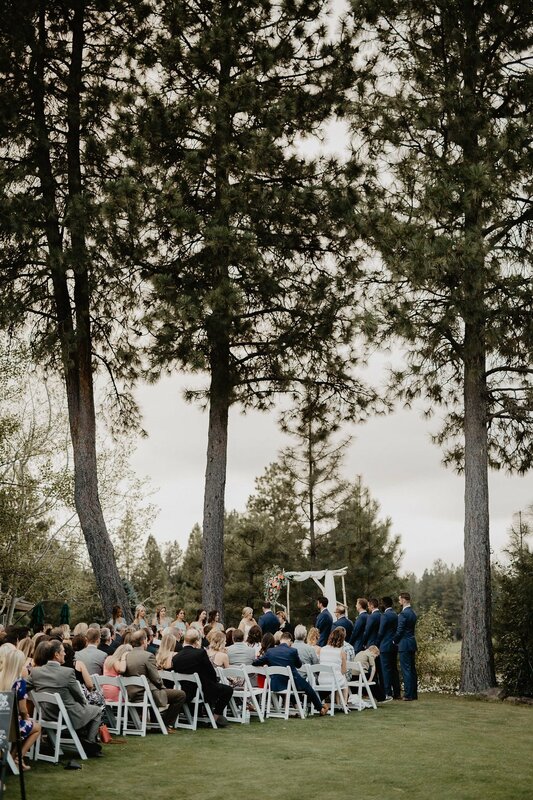 There were many forest fires in the surrounding area so air quality was low. 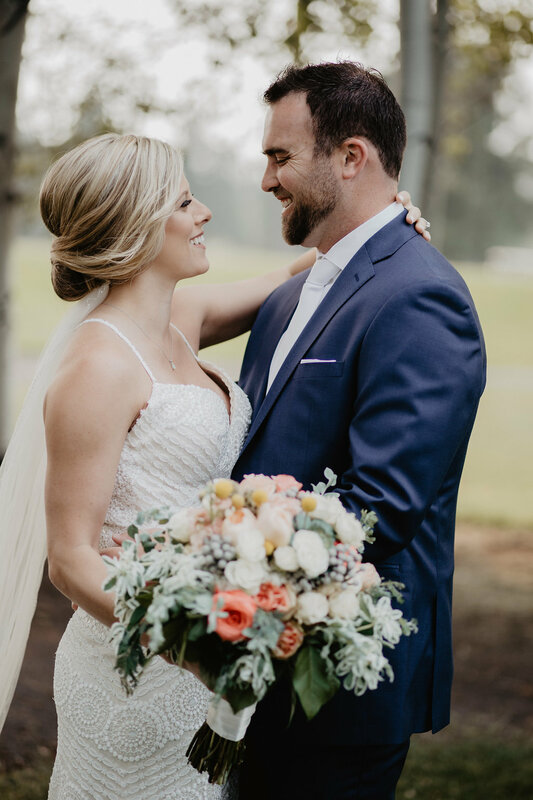 Luckily, on the day of their wedding, some of the smoke lifted and we were greeted with moments of sunshine between the haze. 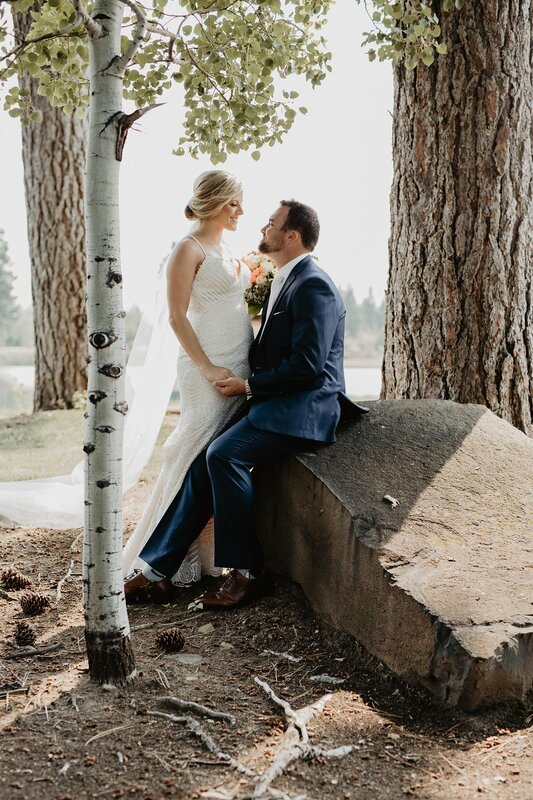 Although, honestly, I think the haze added a unique quality I love to their photos! 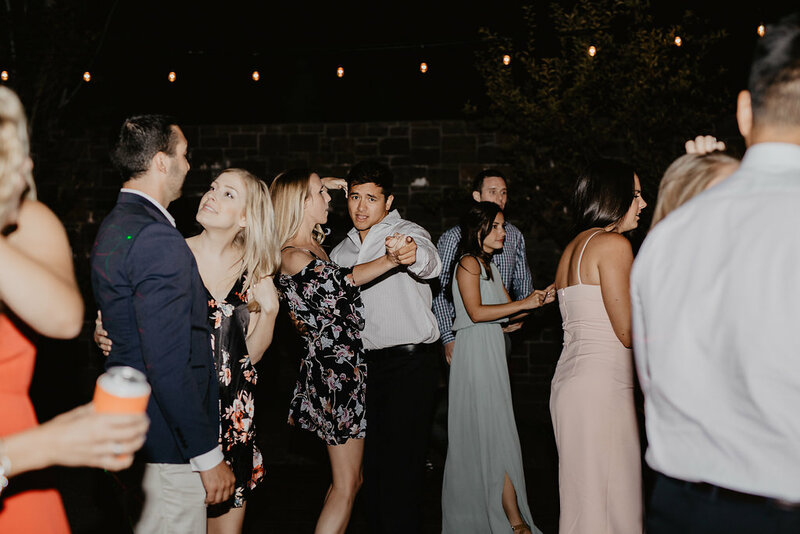 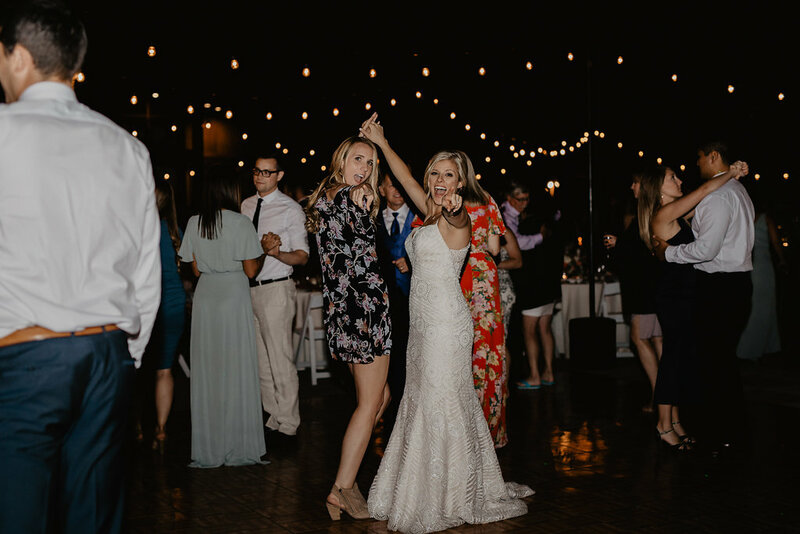 When I first met these two in December, they were convinced they would be bad at taking portraits but were all about the dance party at the end of the night. 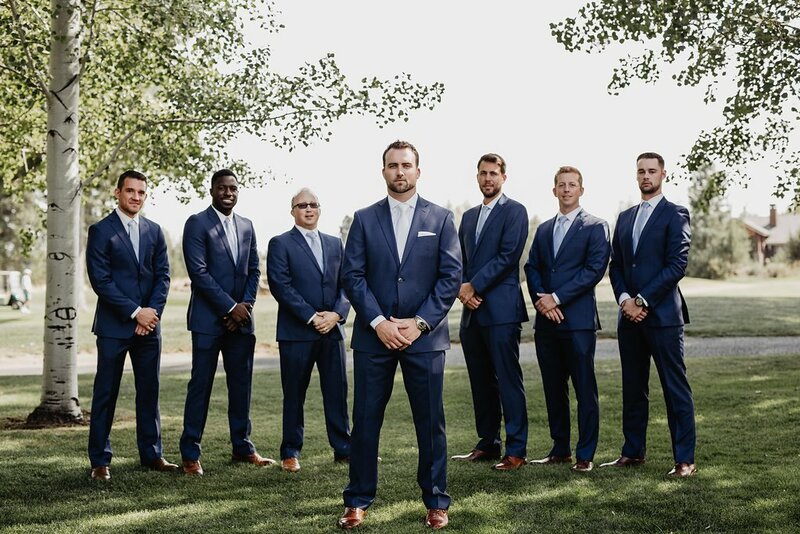 Unsurprisingly, they rocked their first look and other portraits throughout the day. 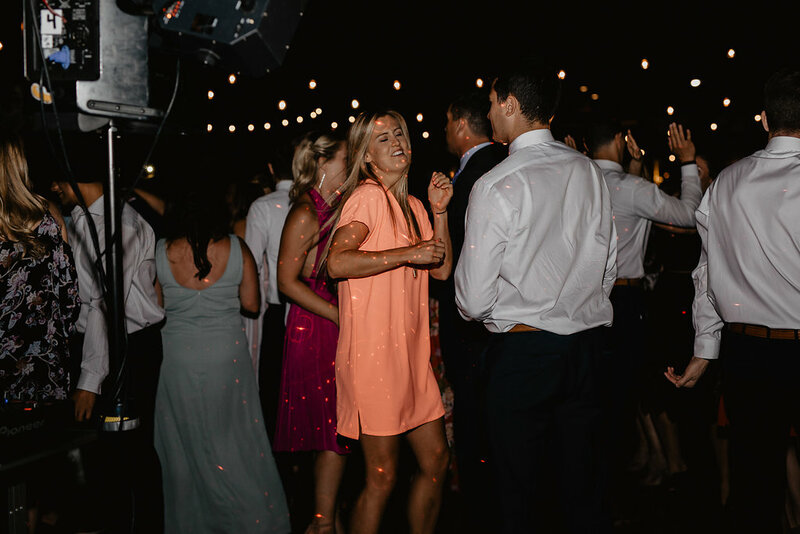 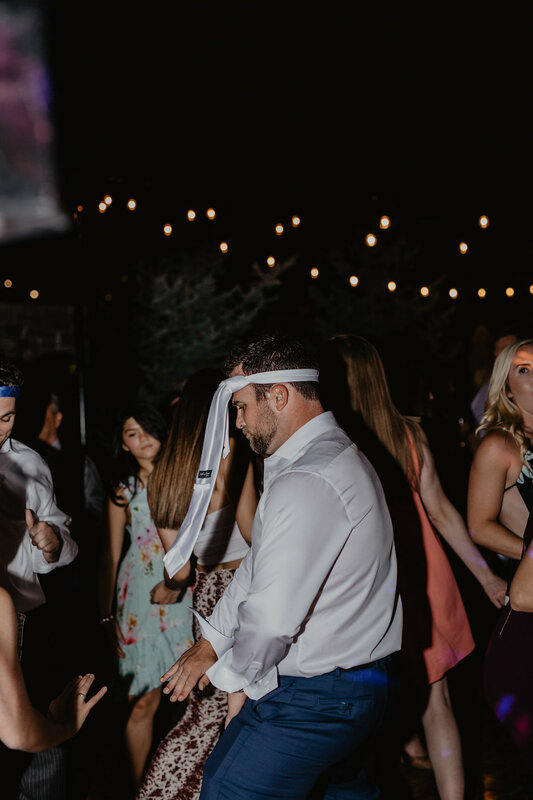 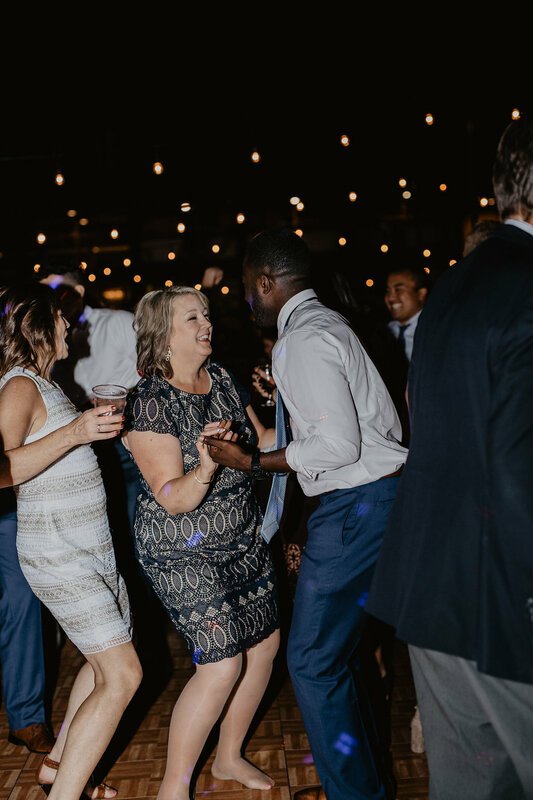 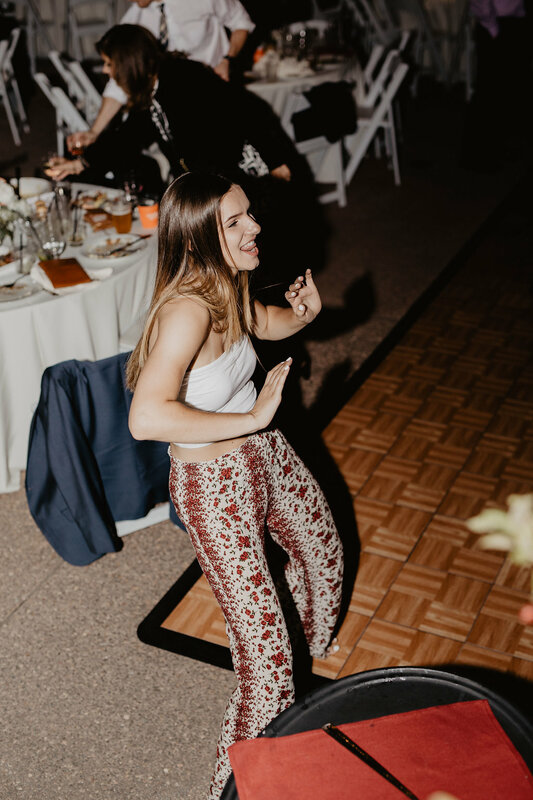 As they predicted, the dancing at the end of the night was off the charts. 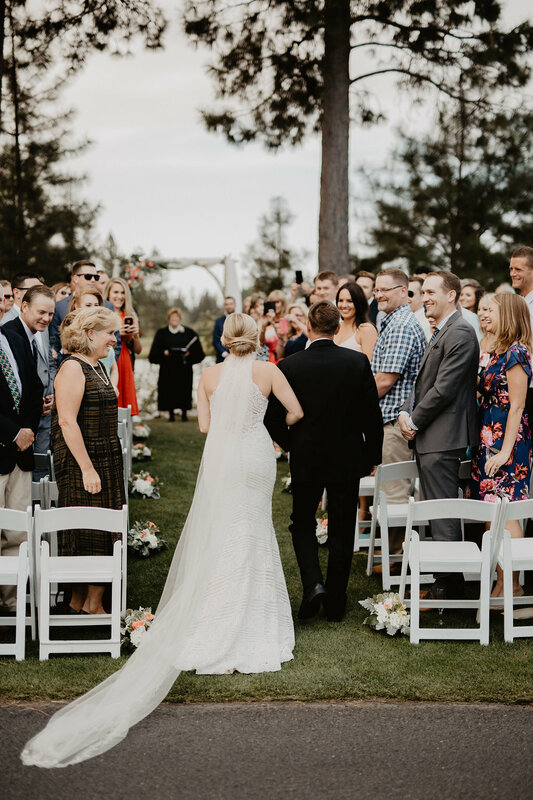 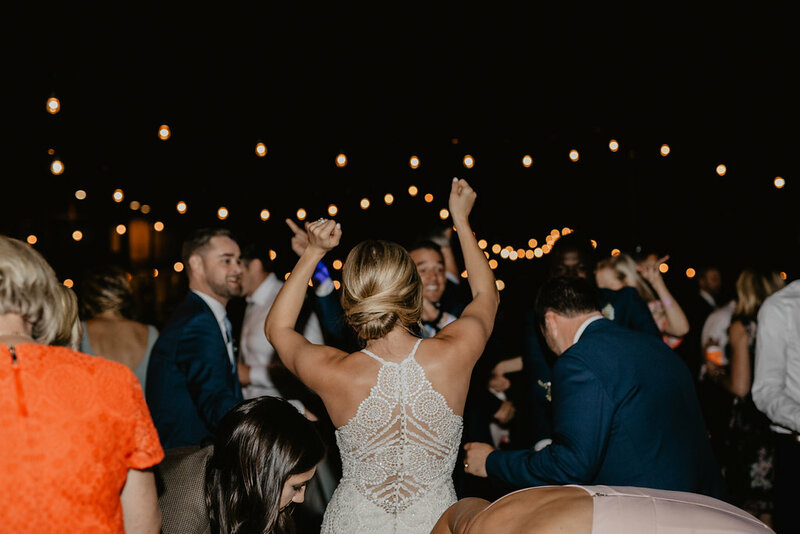 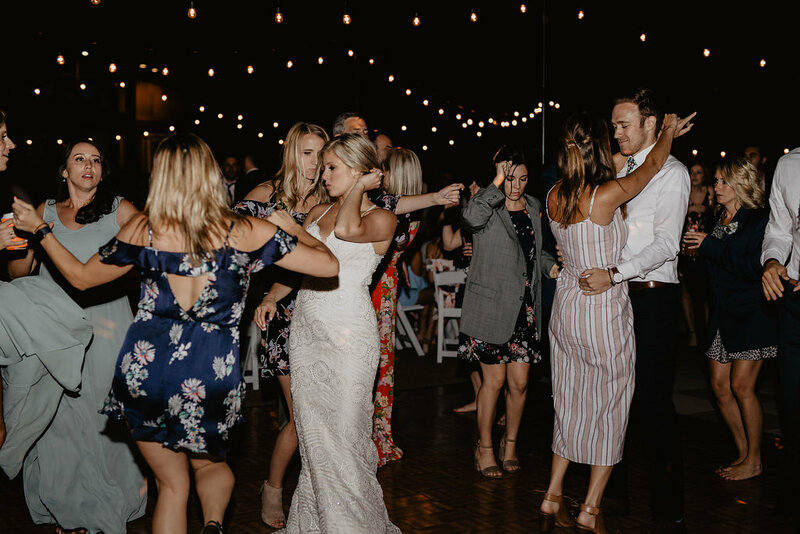 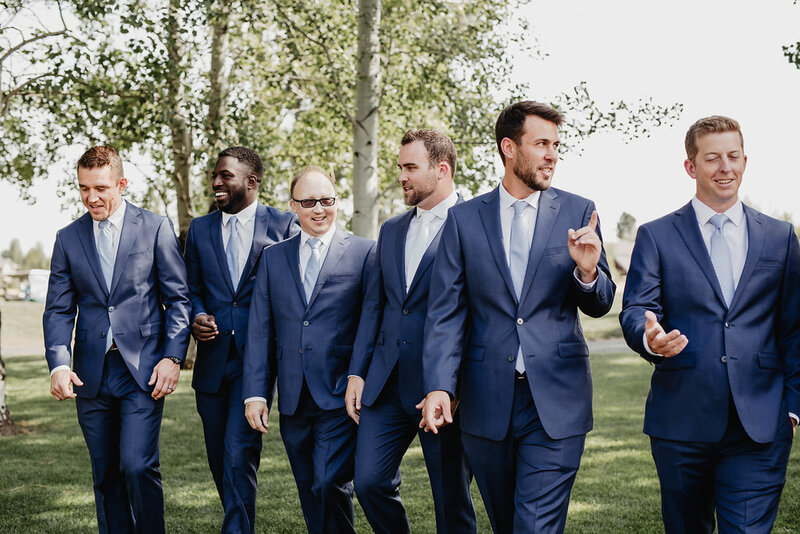 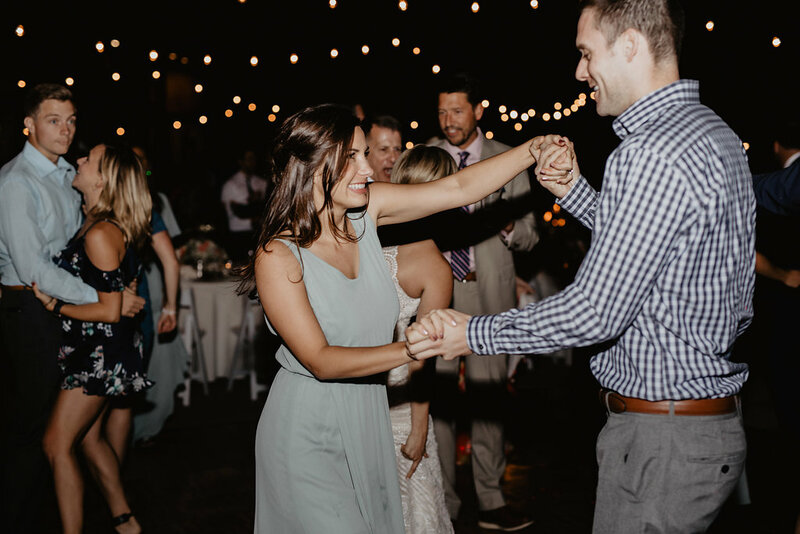 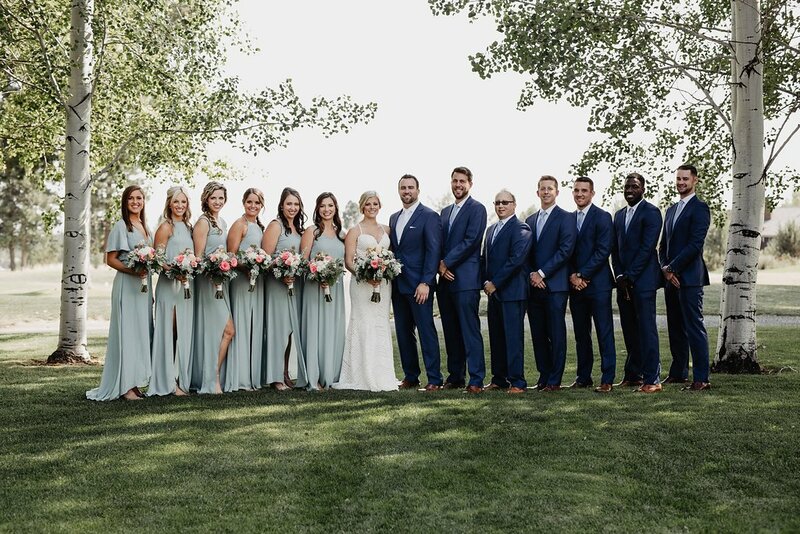 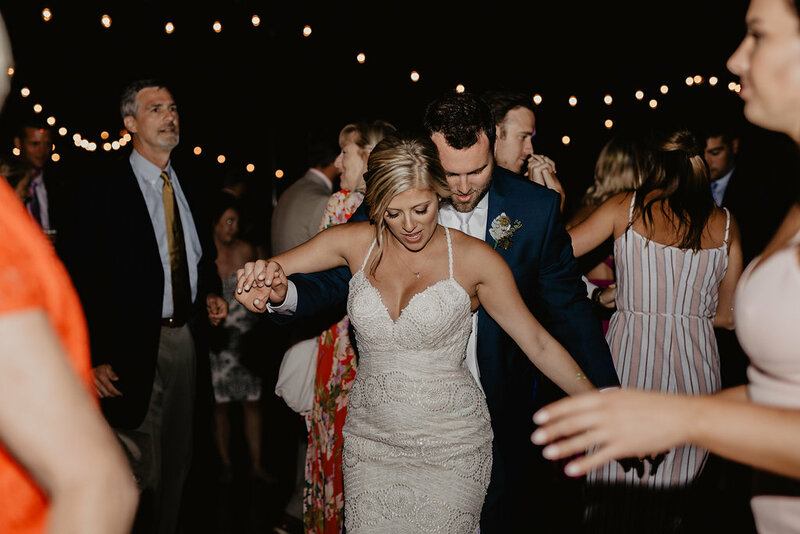 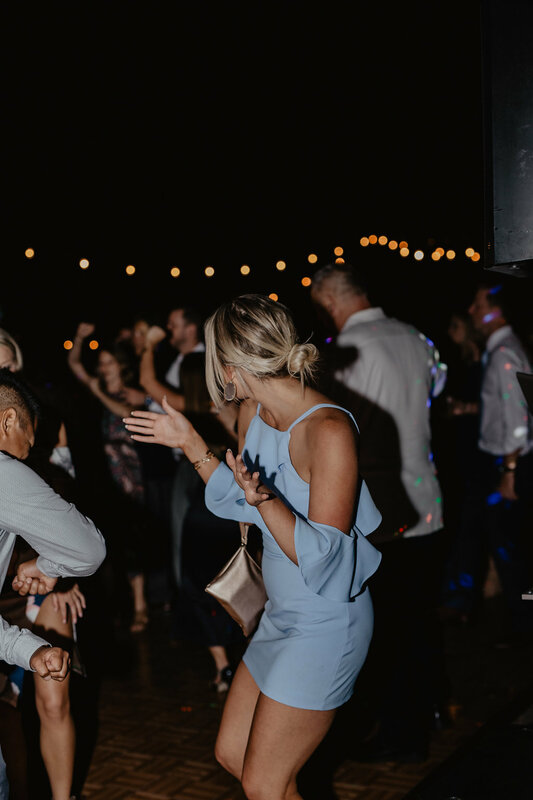 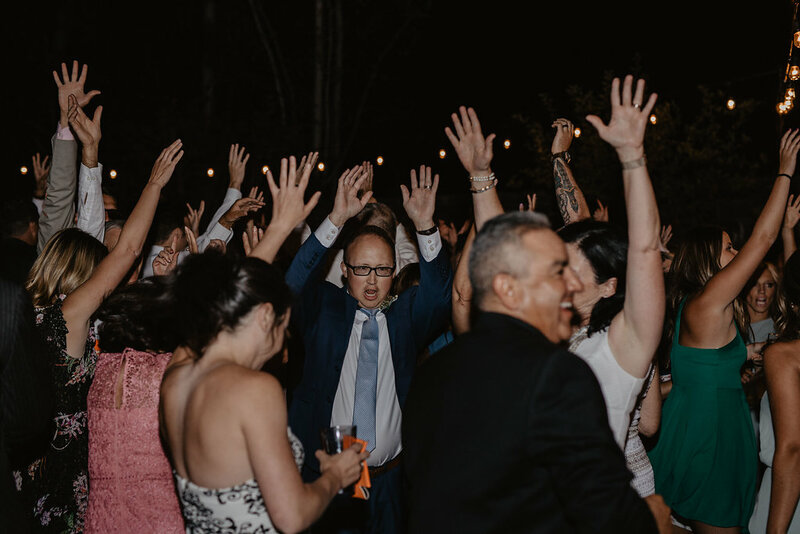 It included almost every single guest at their wedding and started as soon as the music did! 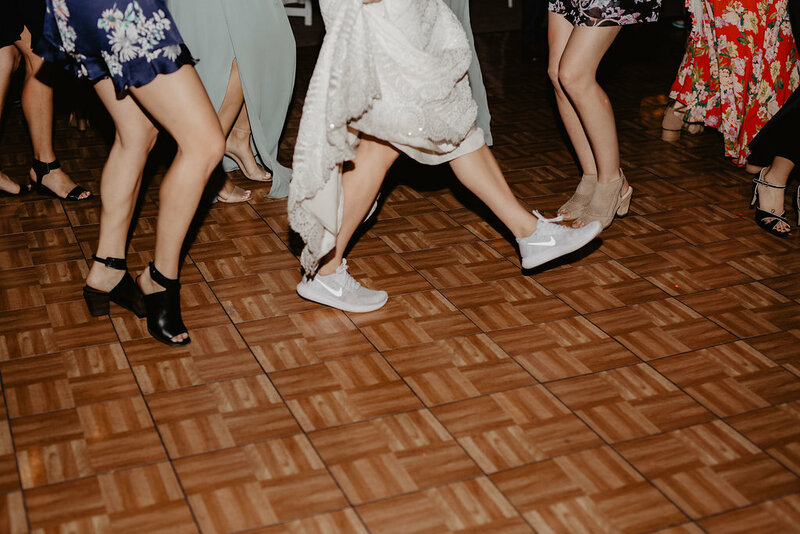 John even gave Ally special shoes during the reception so she could dance the night away in comfort. 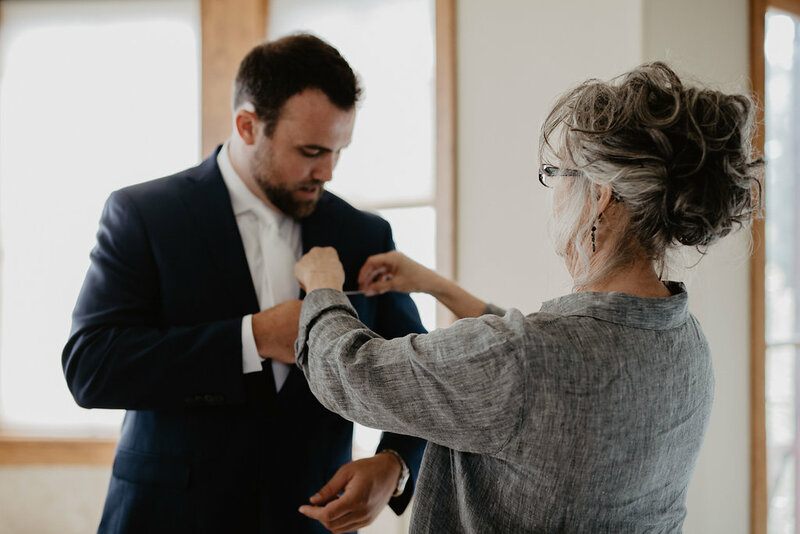 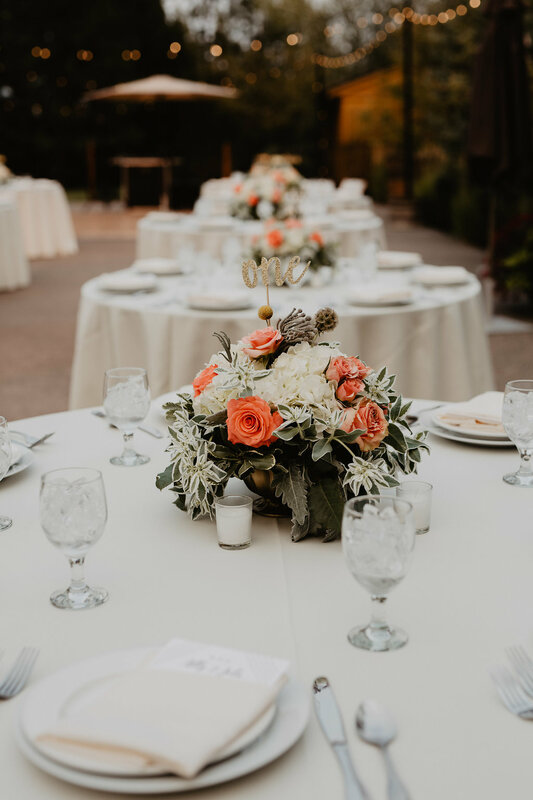 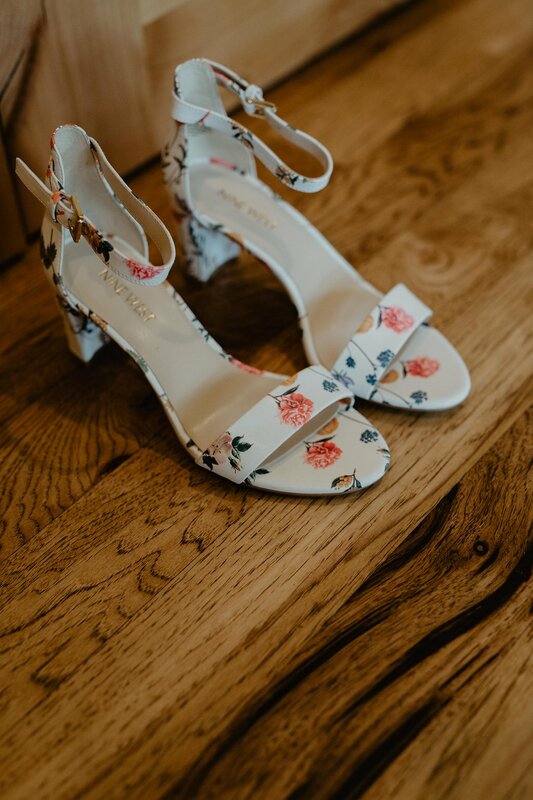 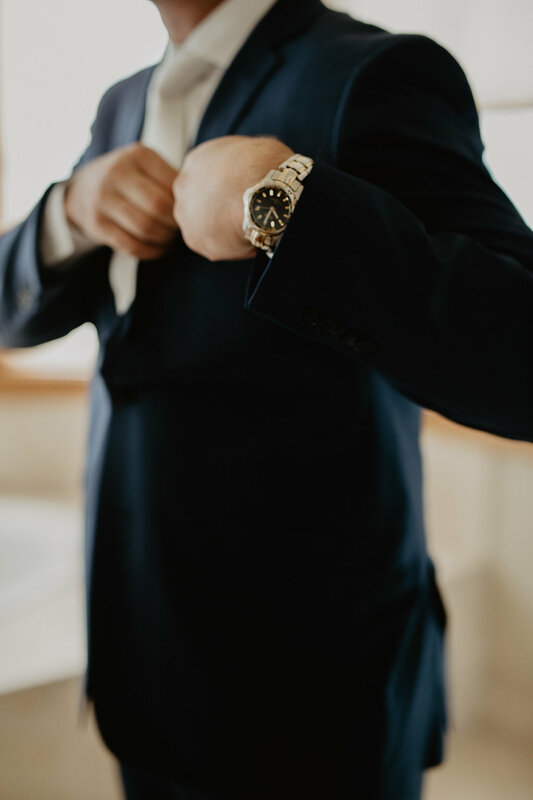 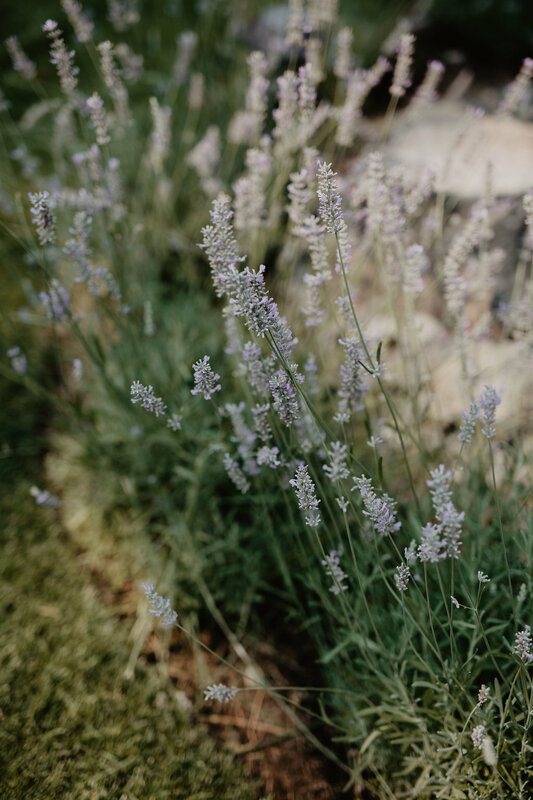 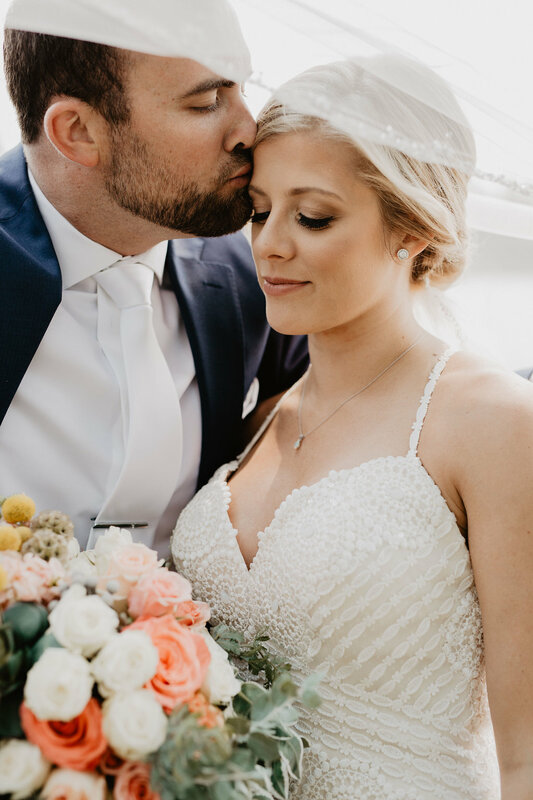 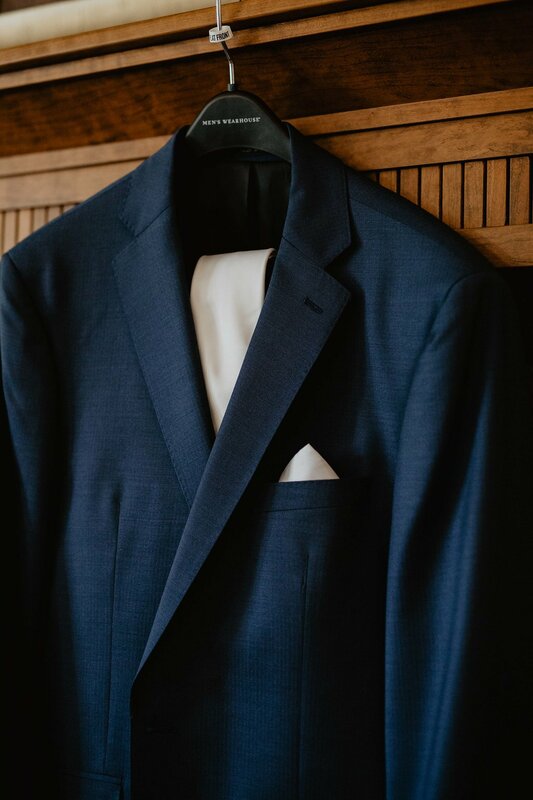 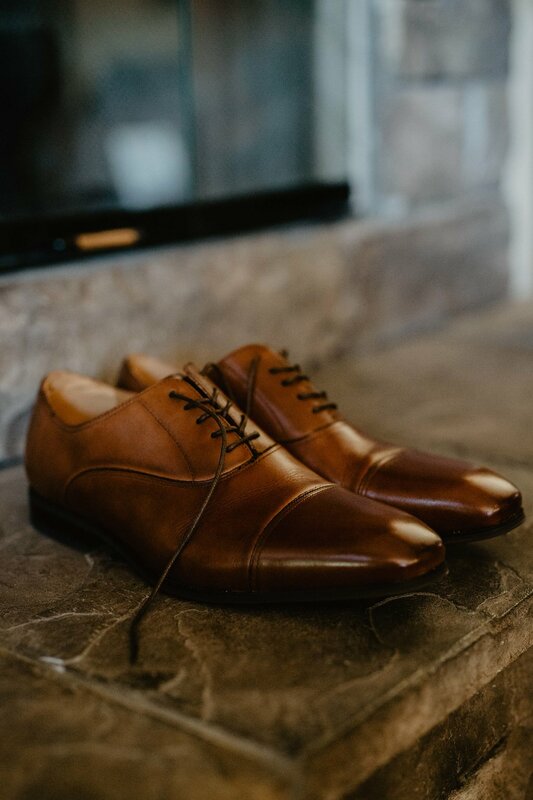 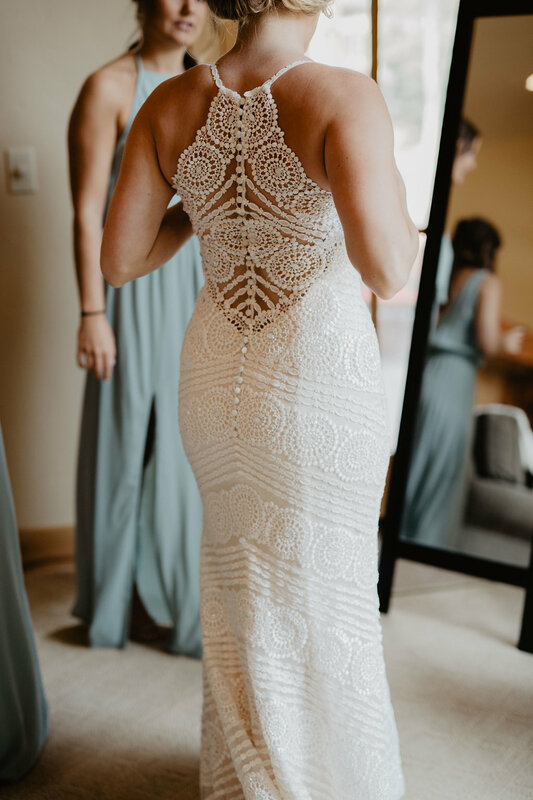 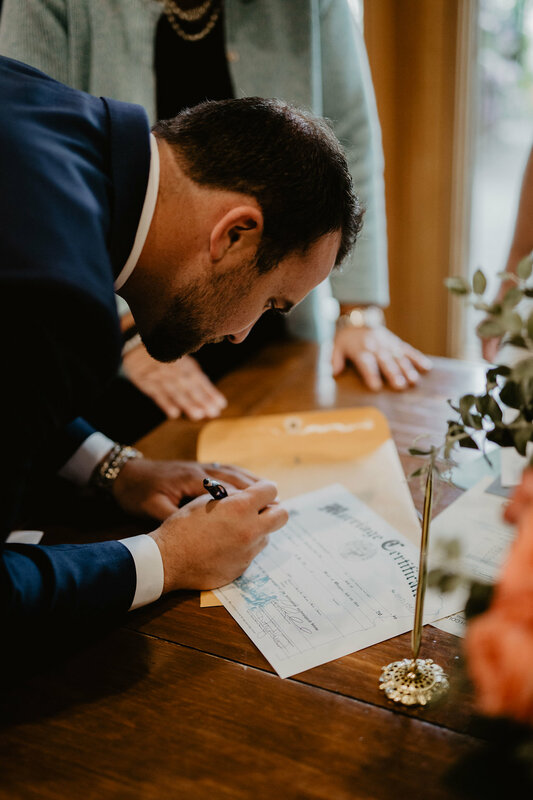 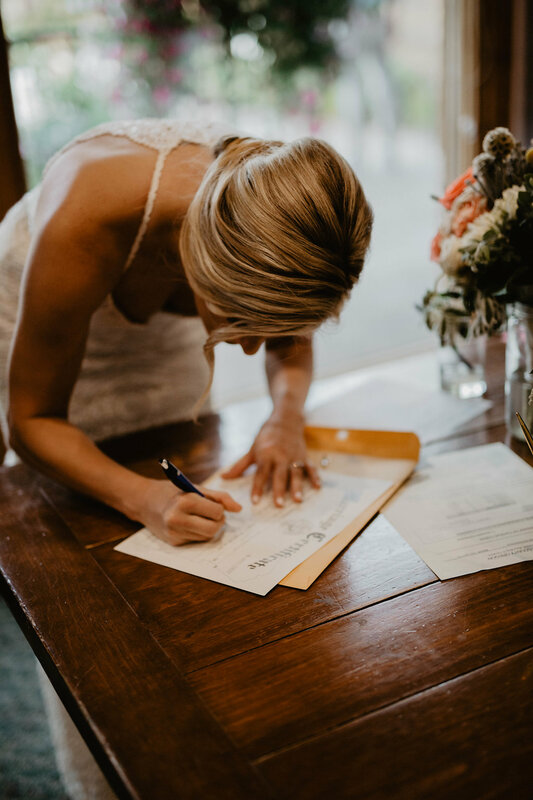 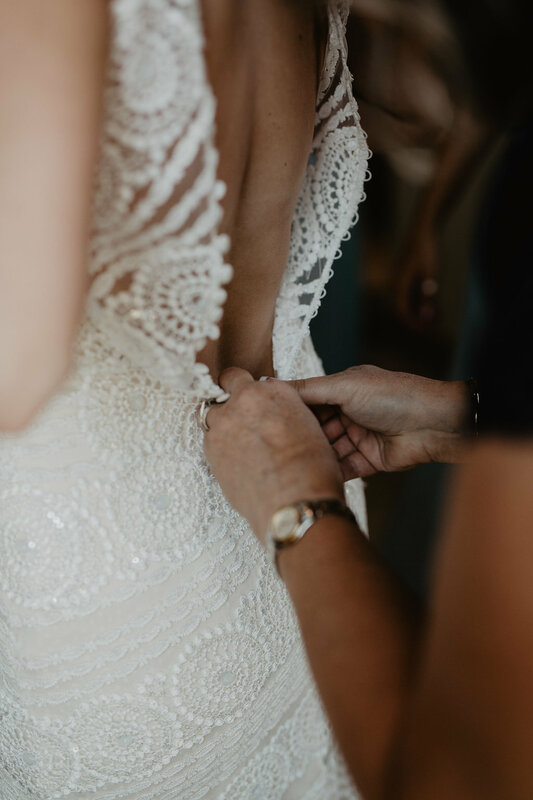 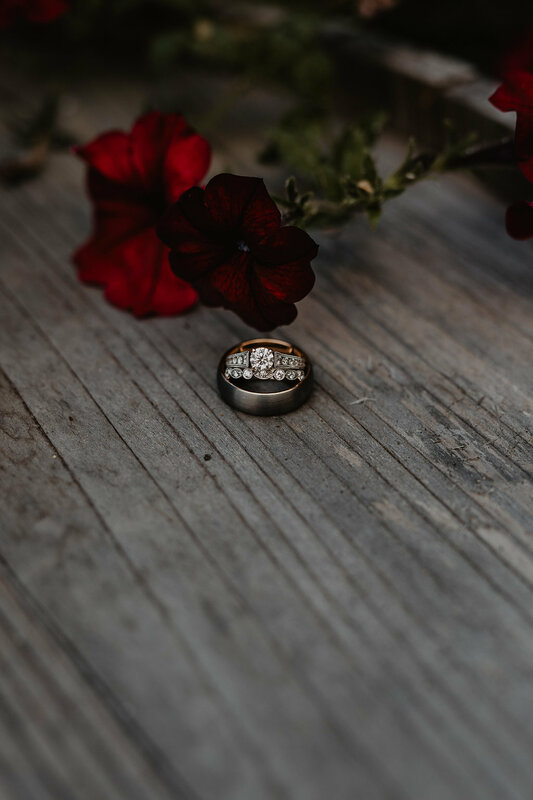 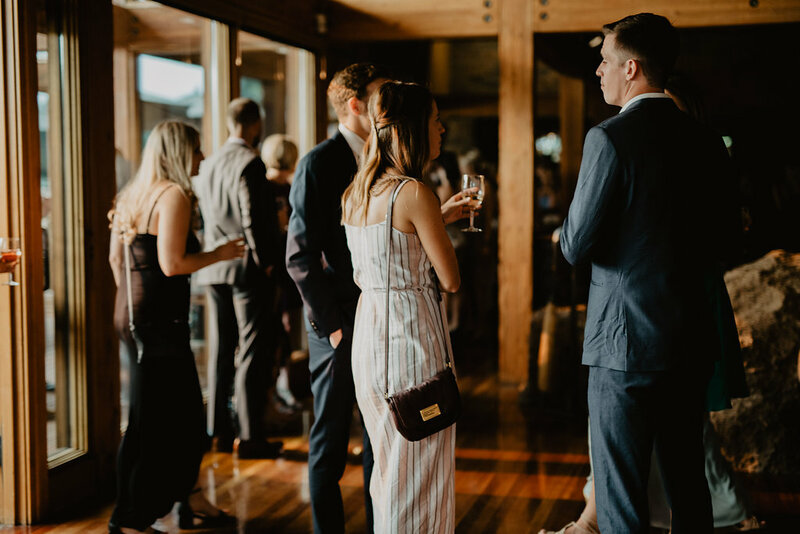 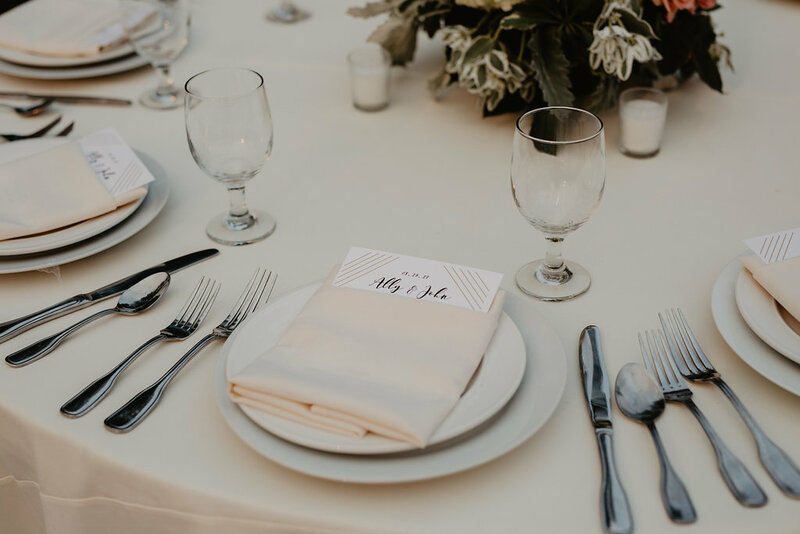 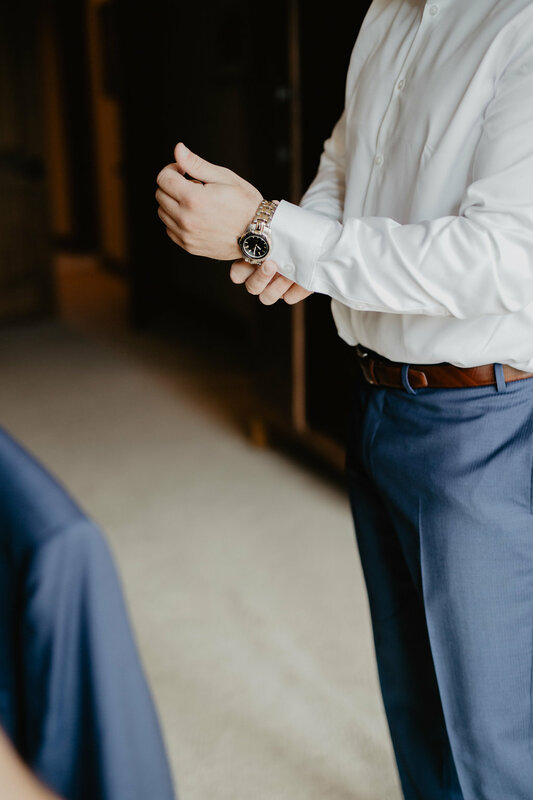 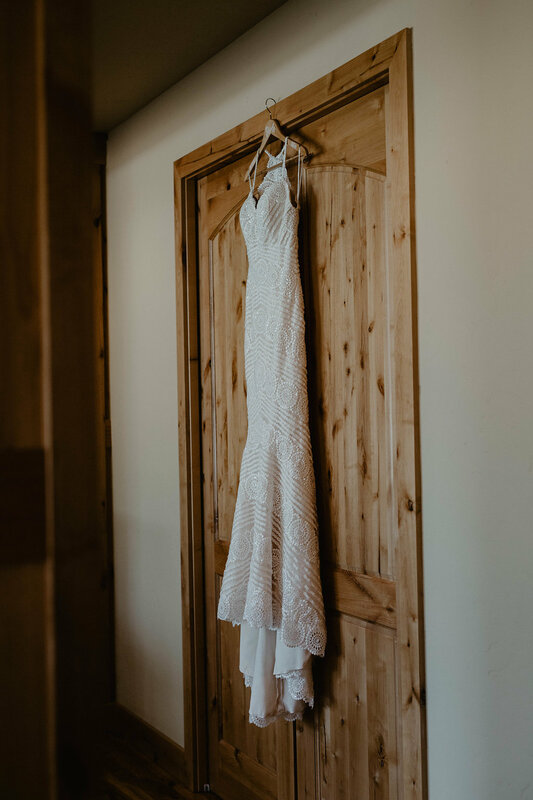 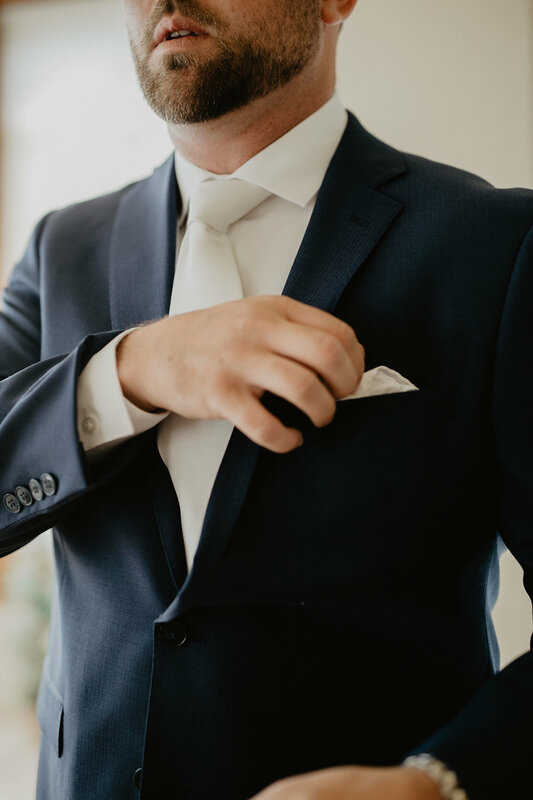 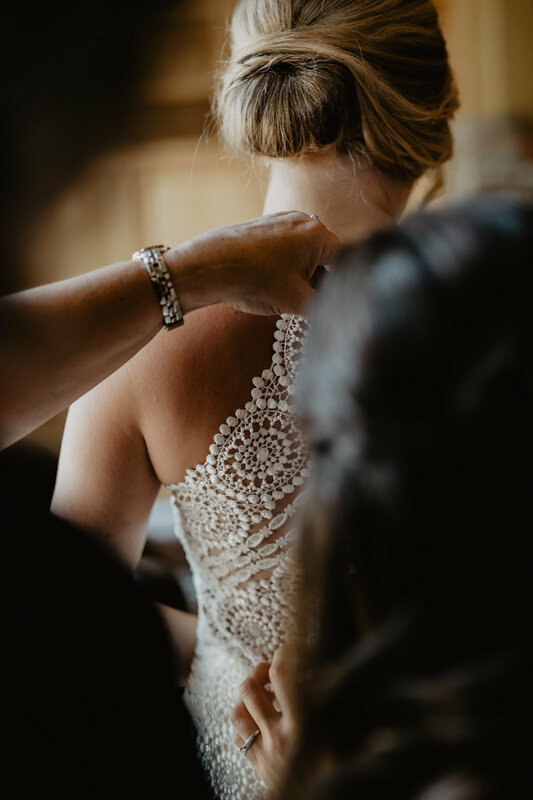 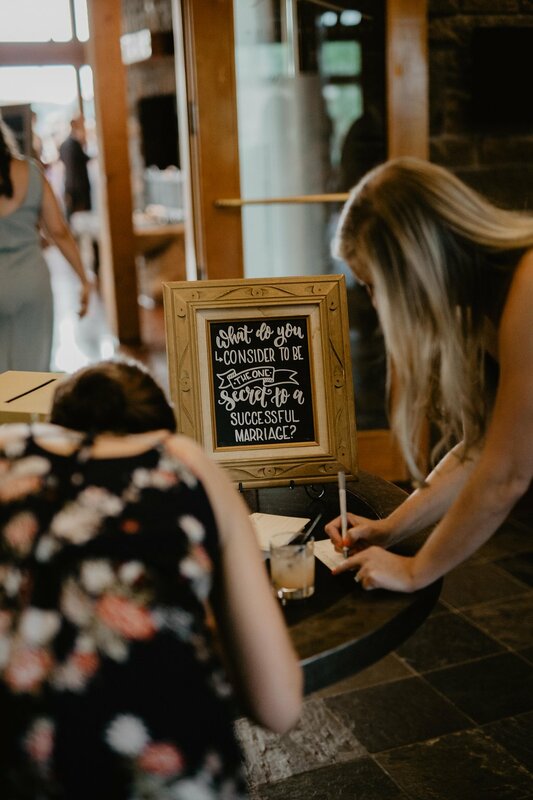 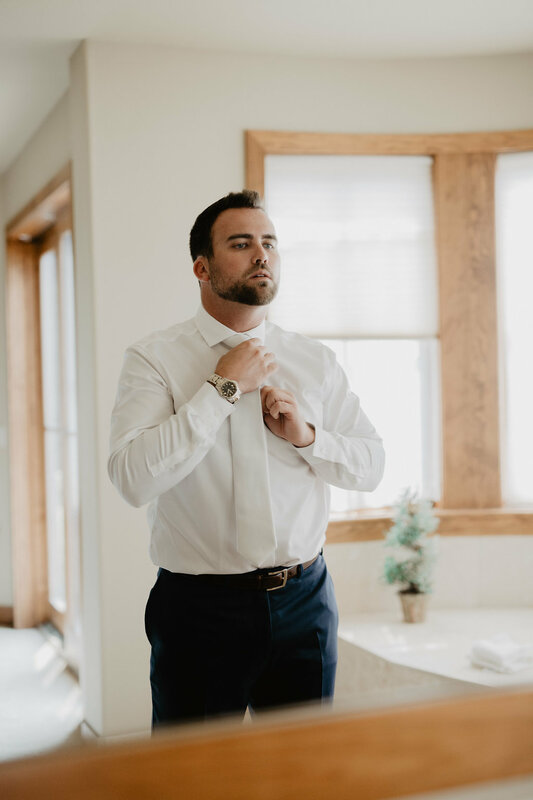 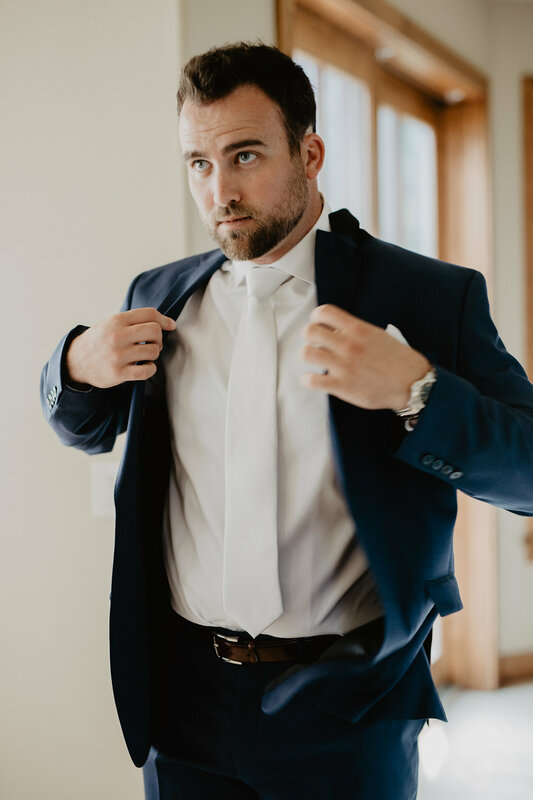 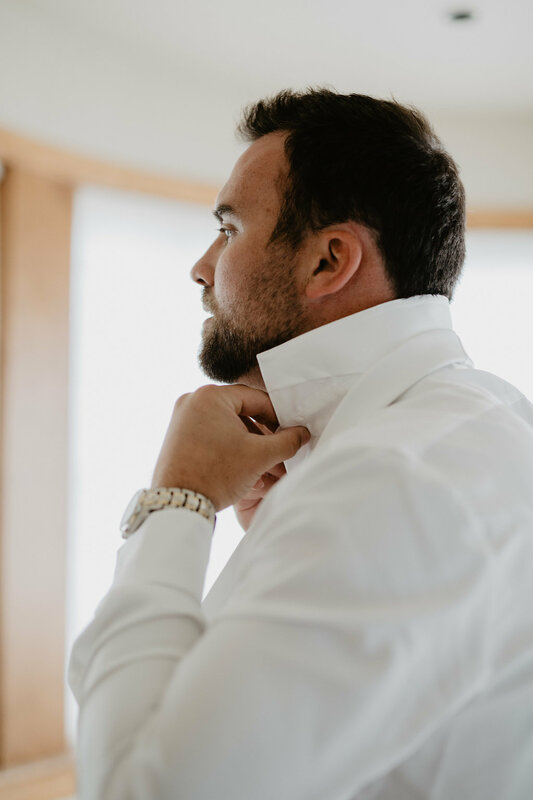 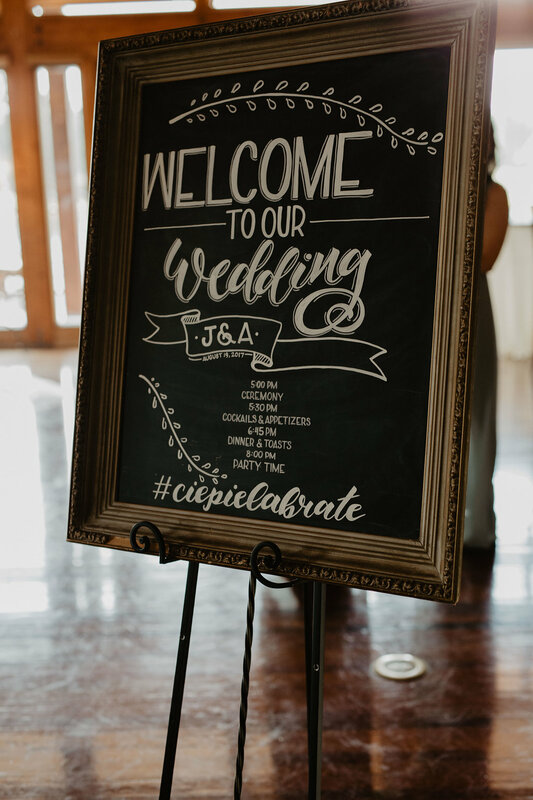 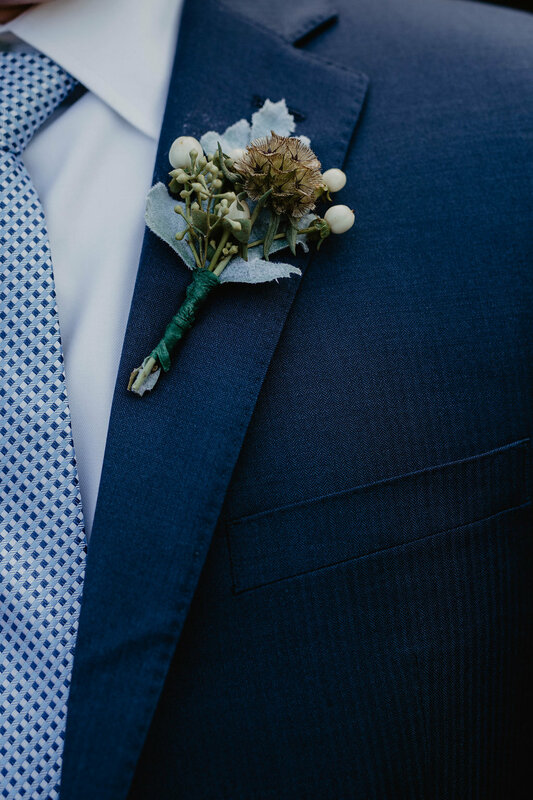 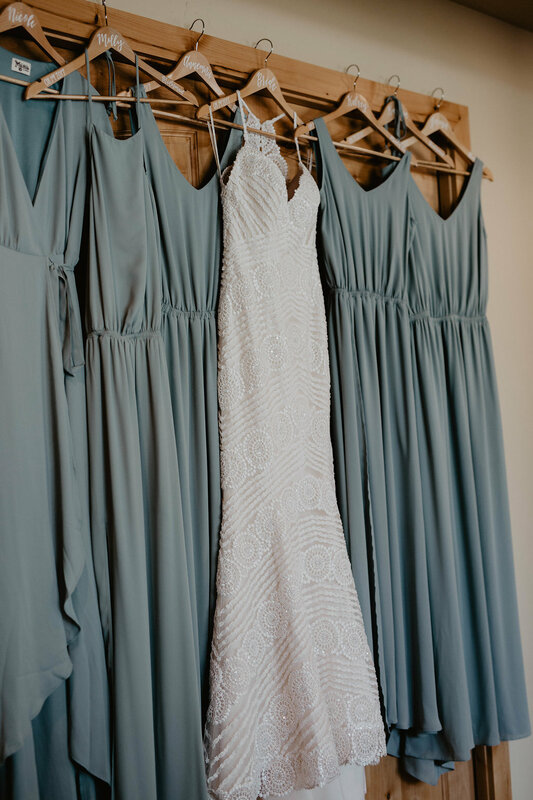 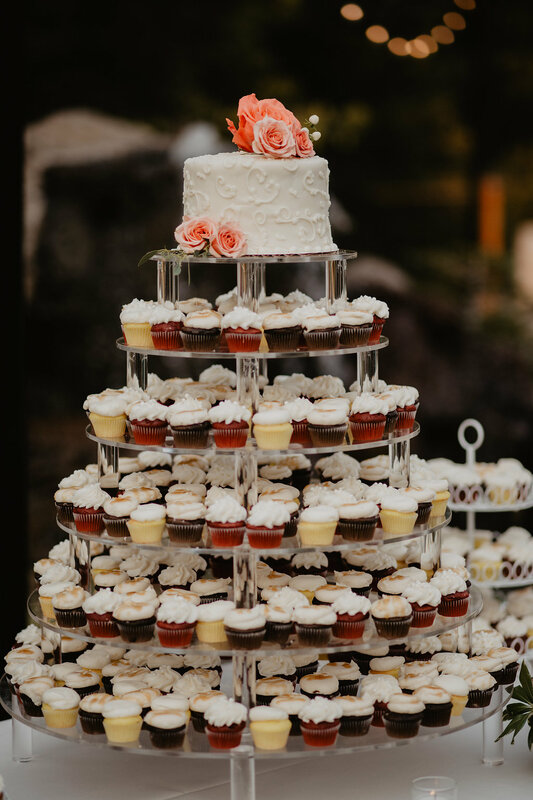 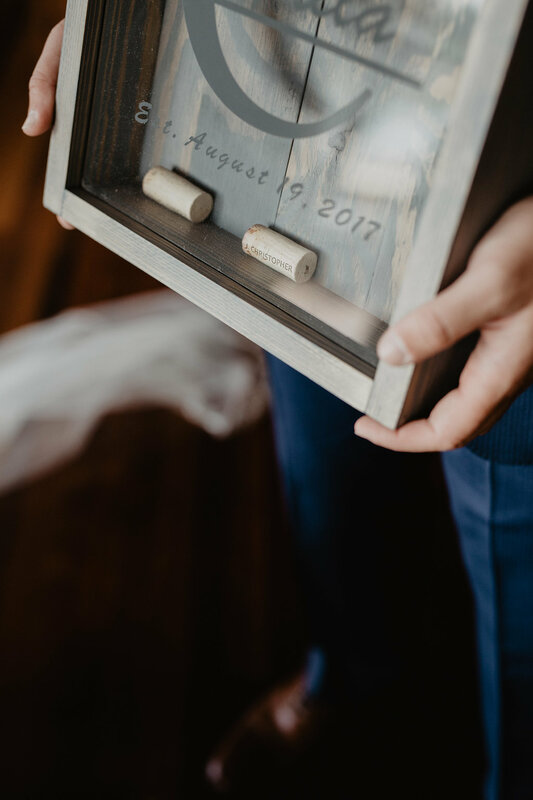 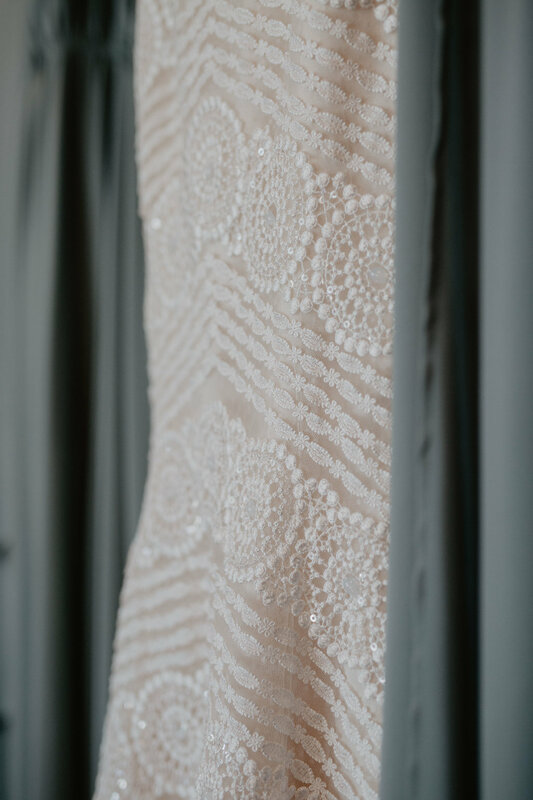 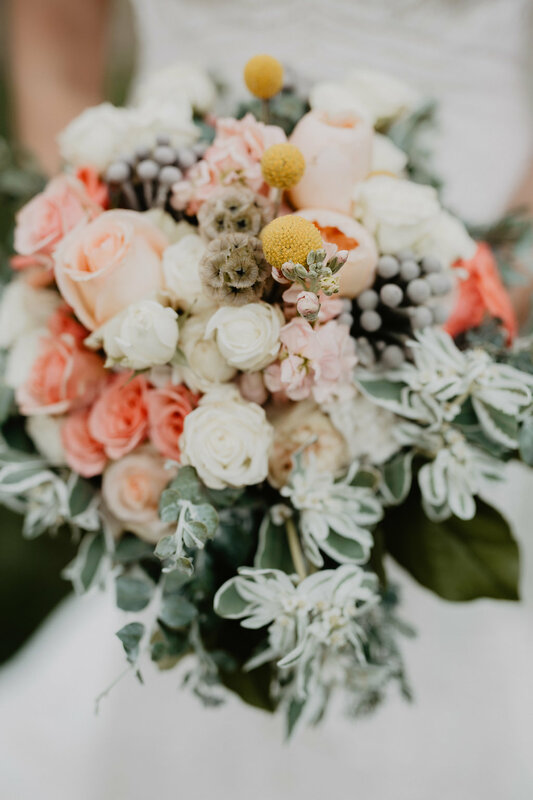 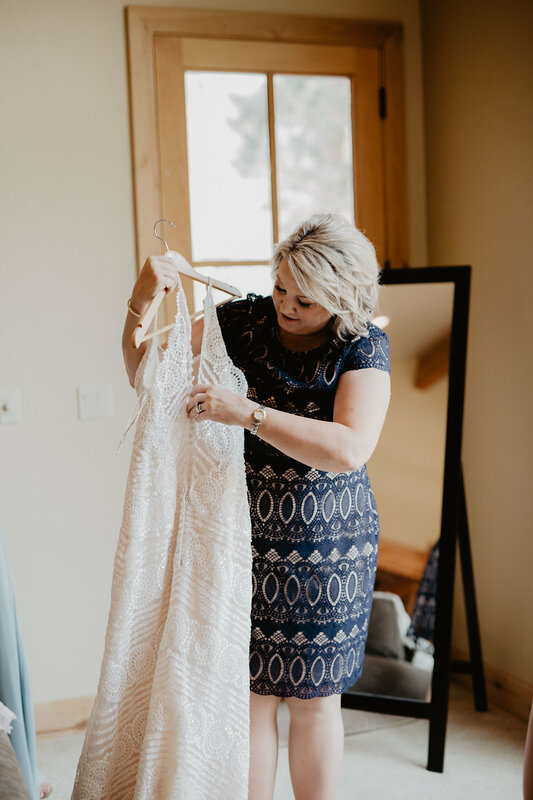 This wedding day was full of gorgeous details. 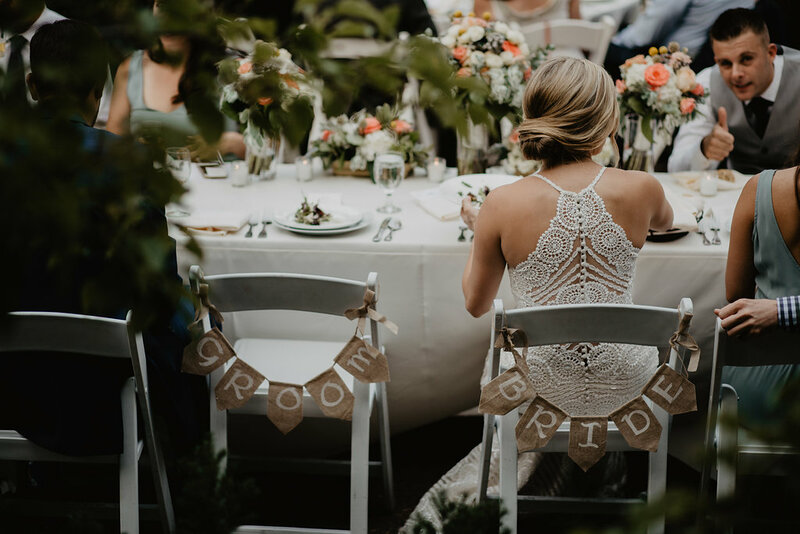 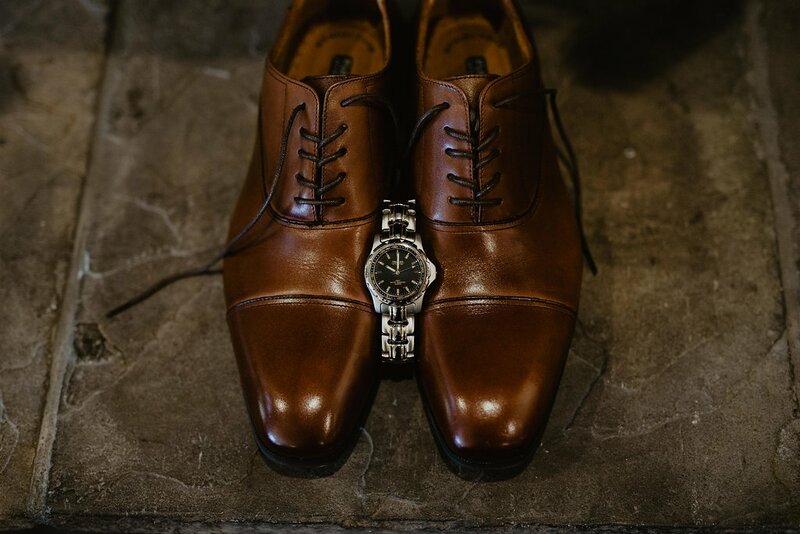 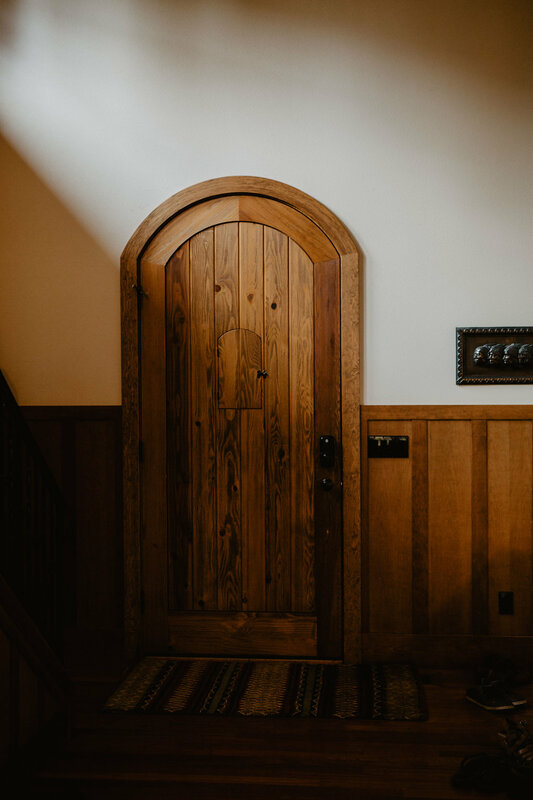 From the houses they got ready in, to their shoes and the place settings, it all came together flawlessly.